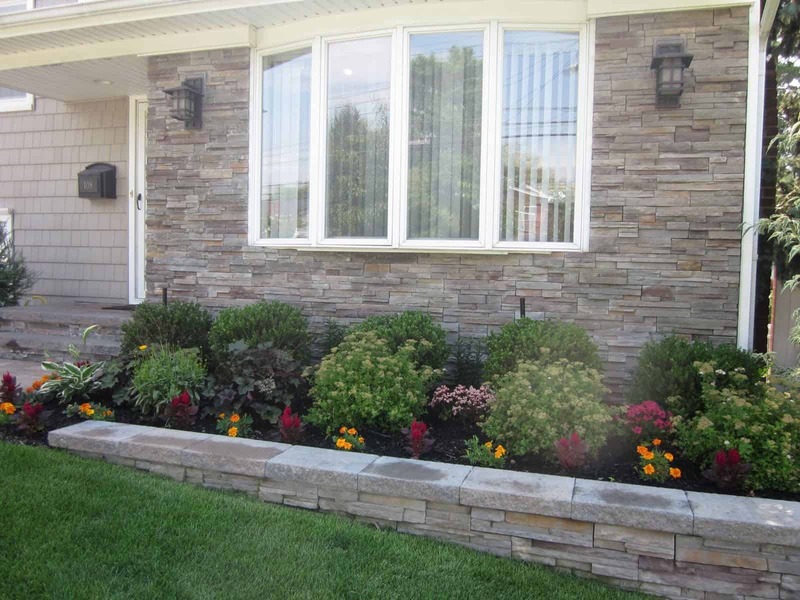 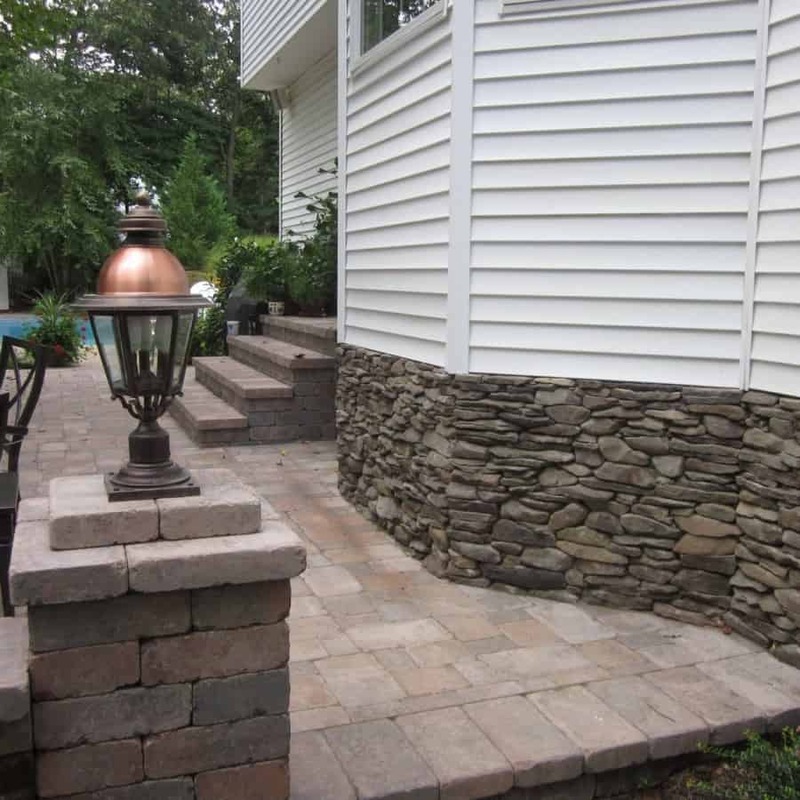 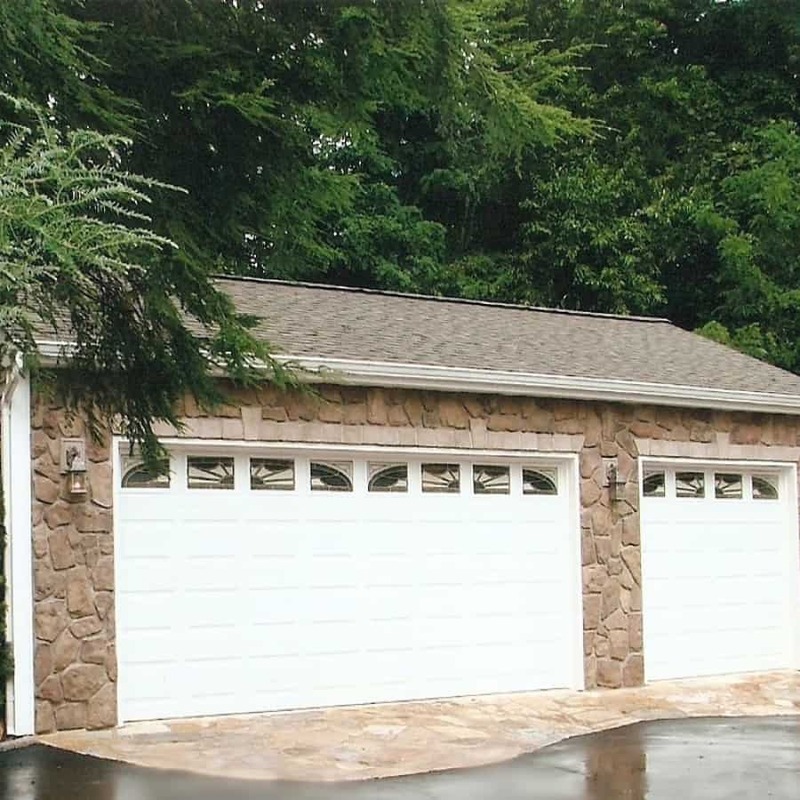 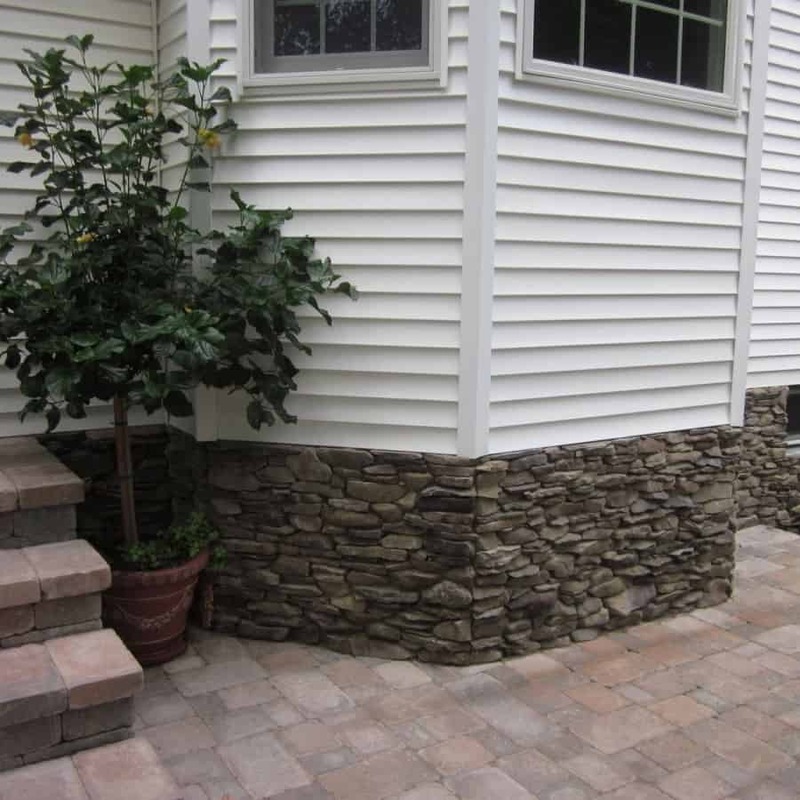 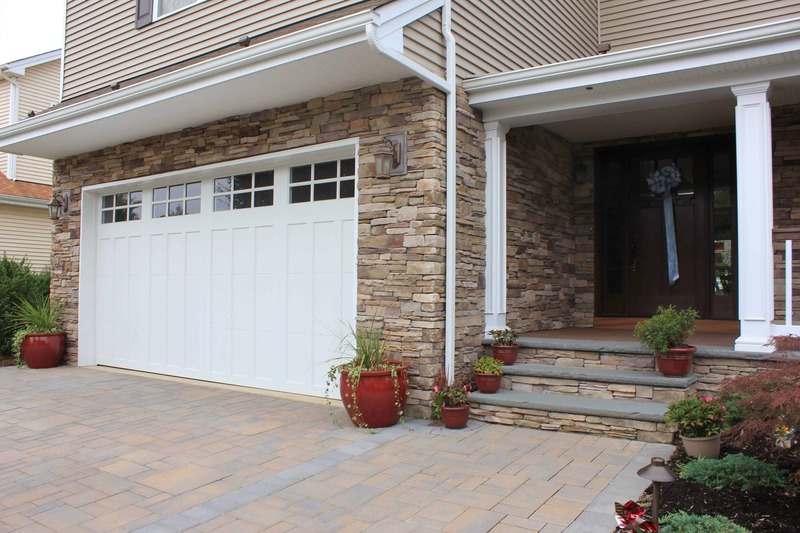 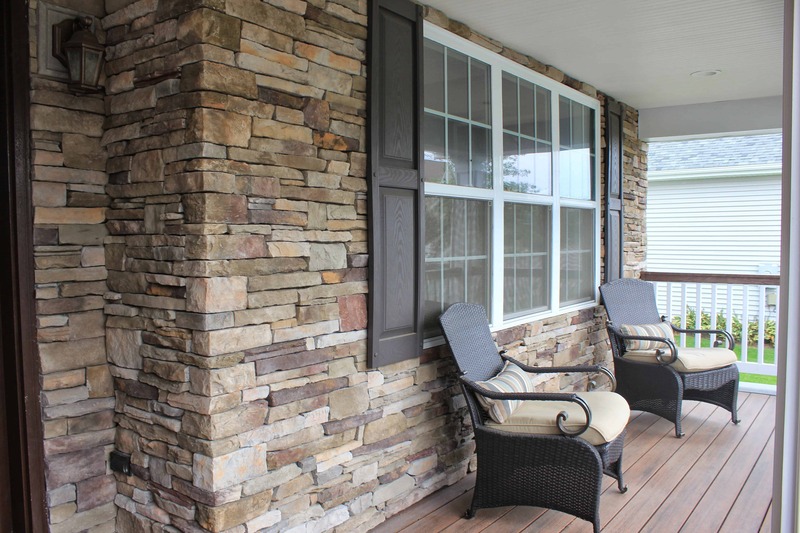 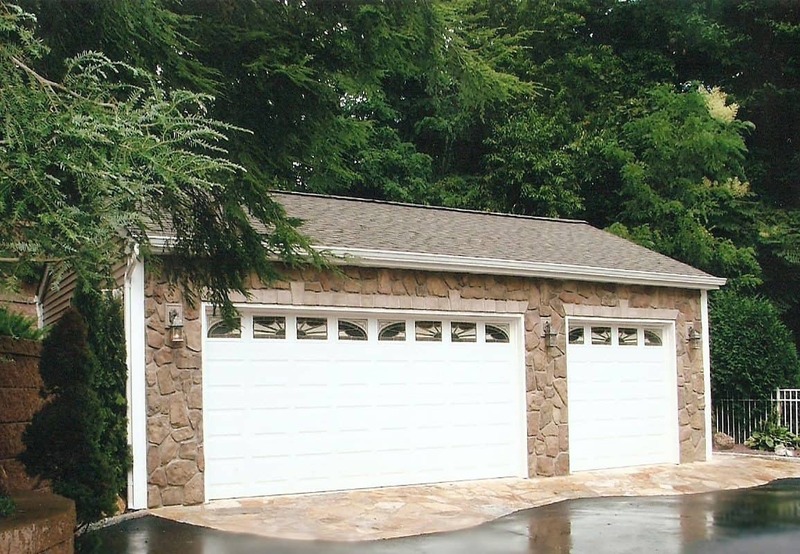 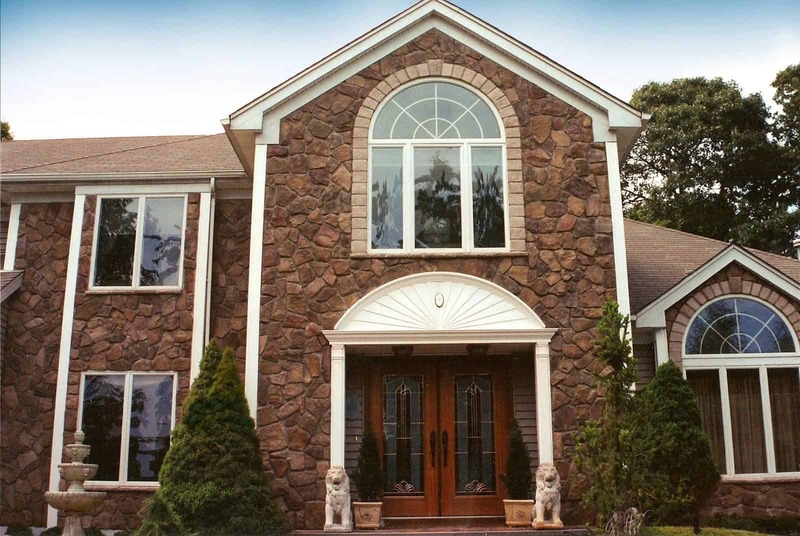 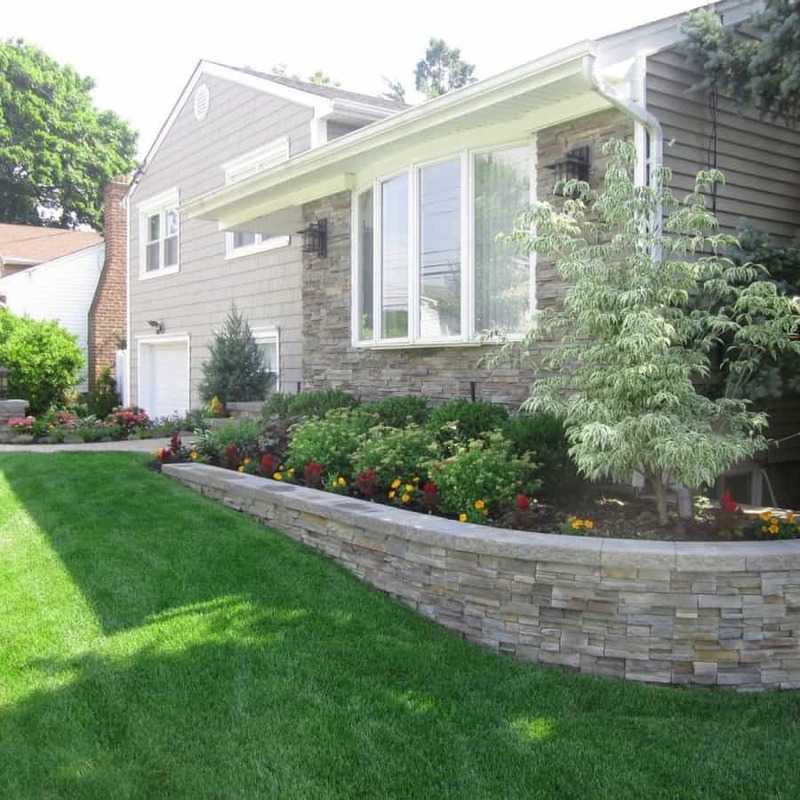 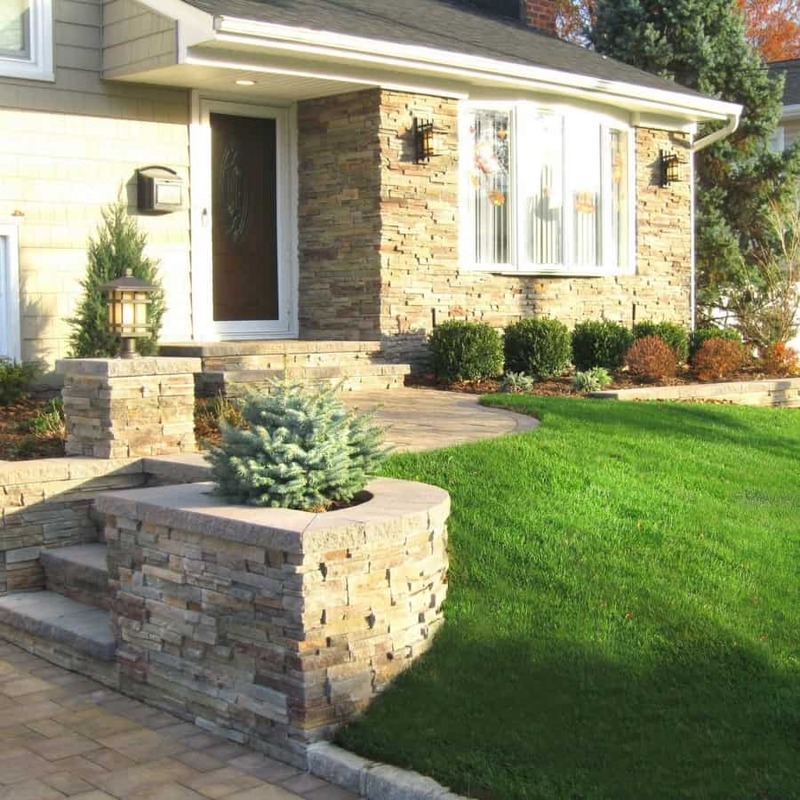 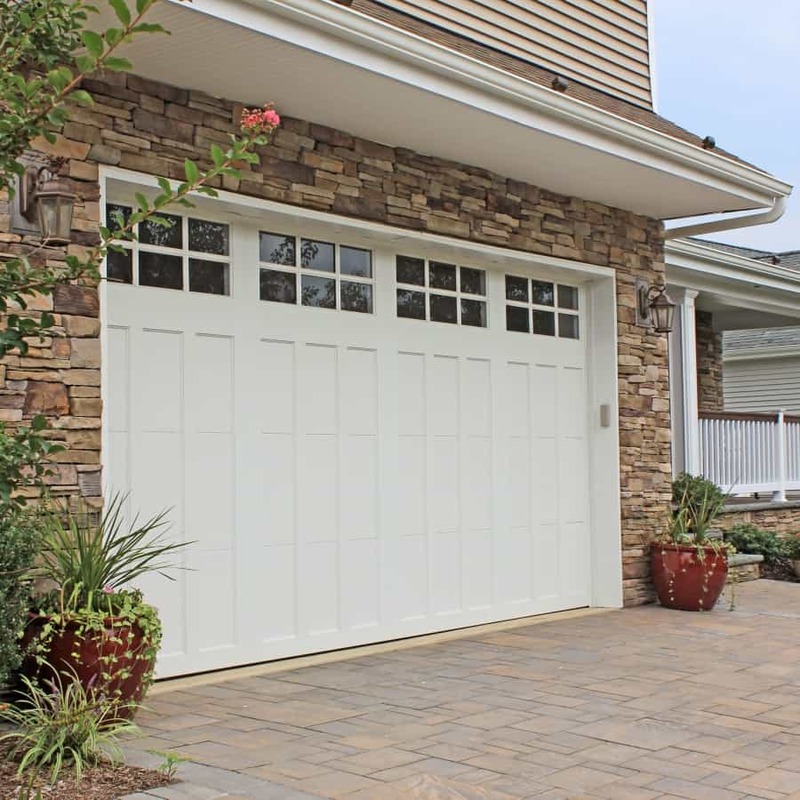 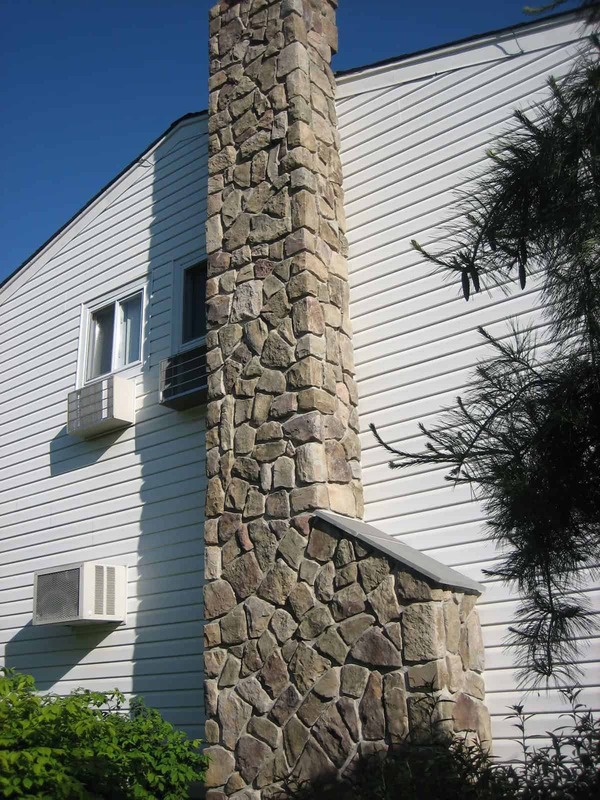 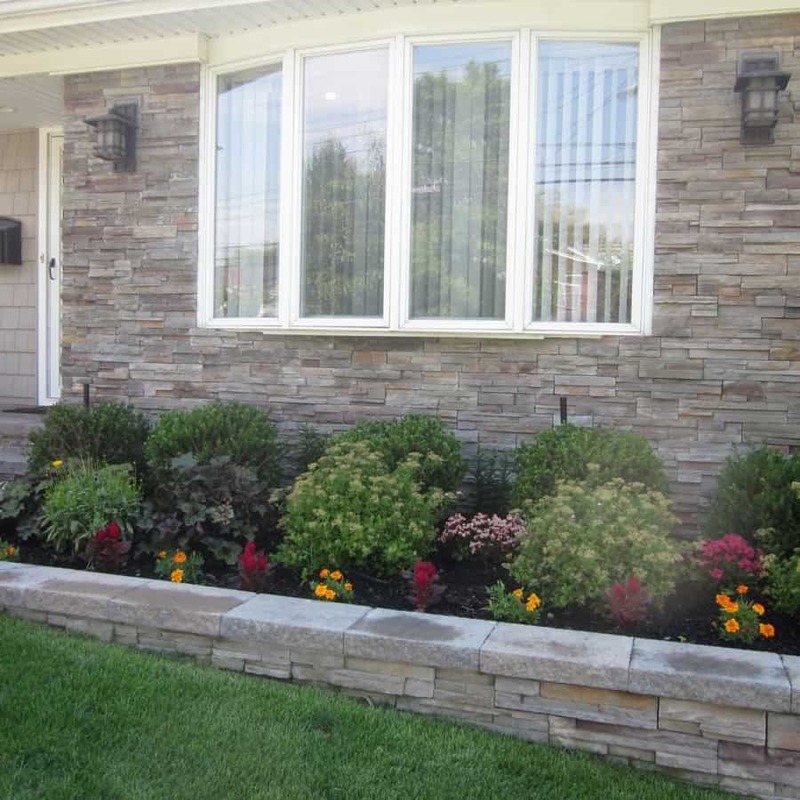 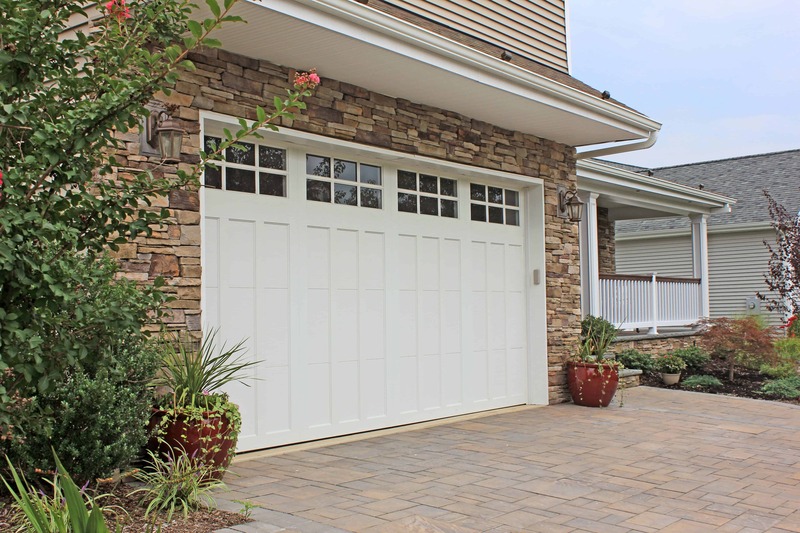 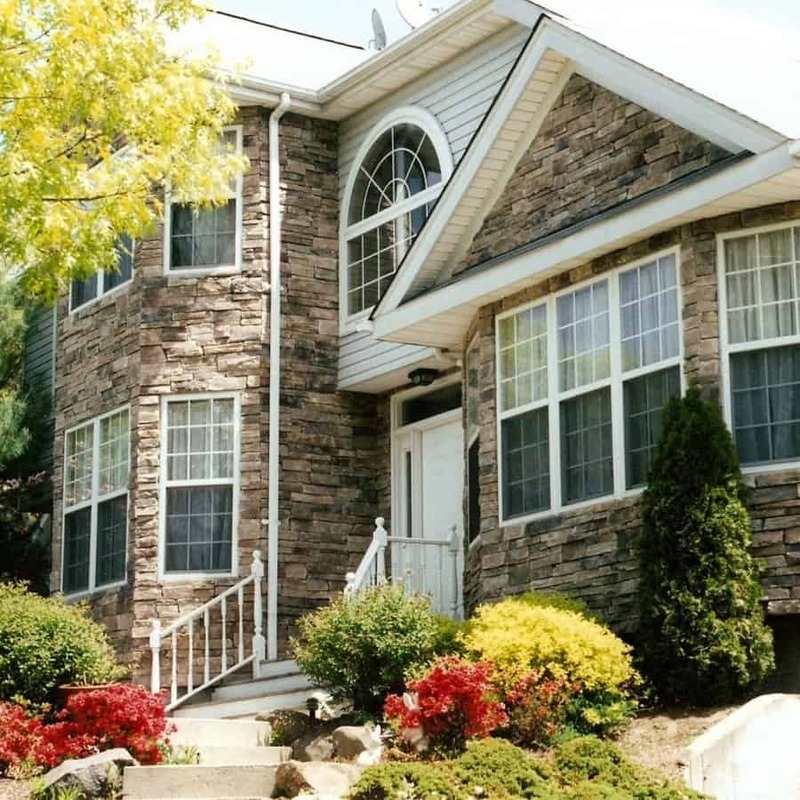 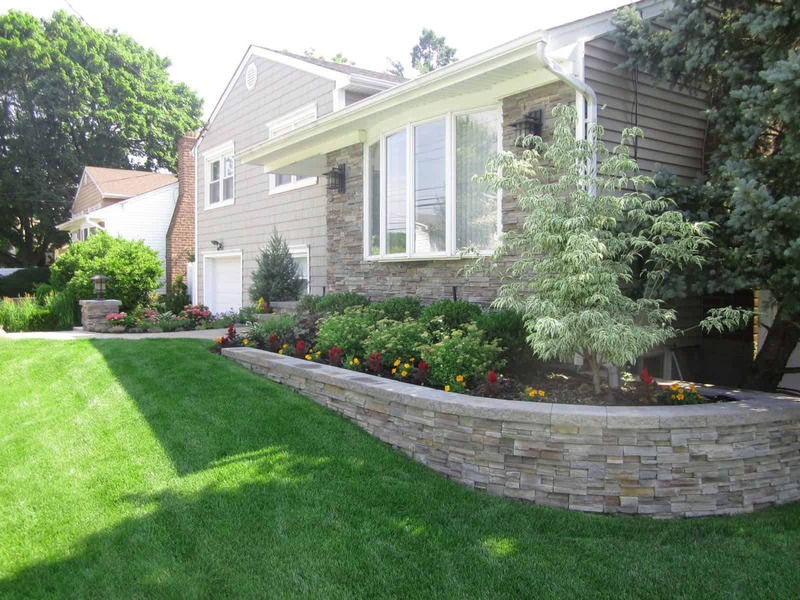 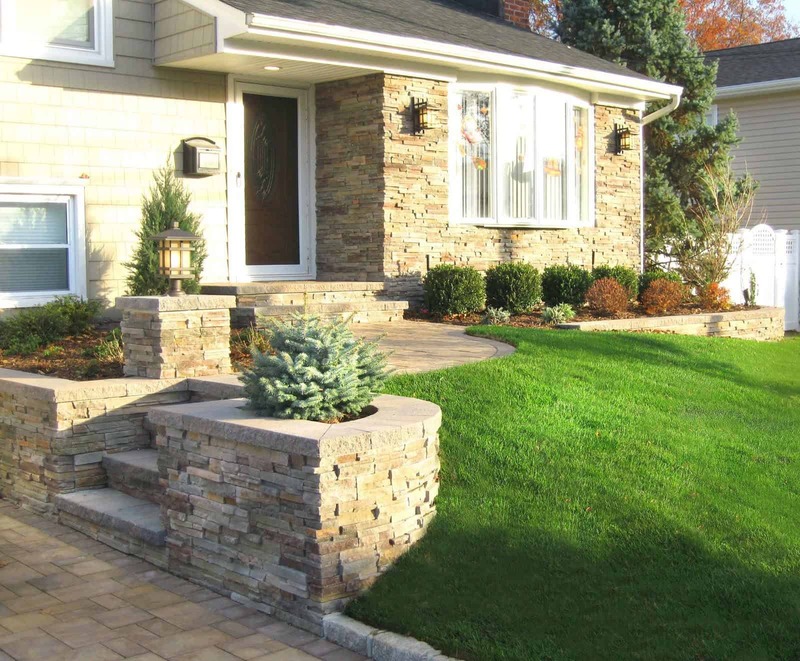 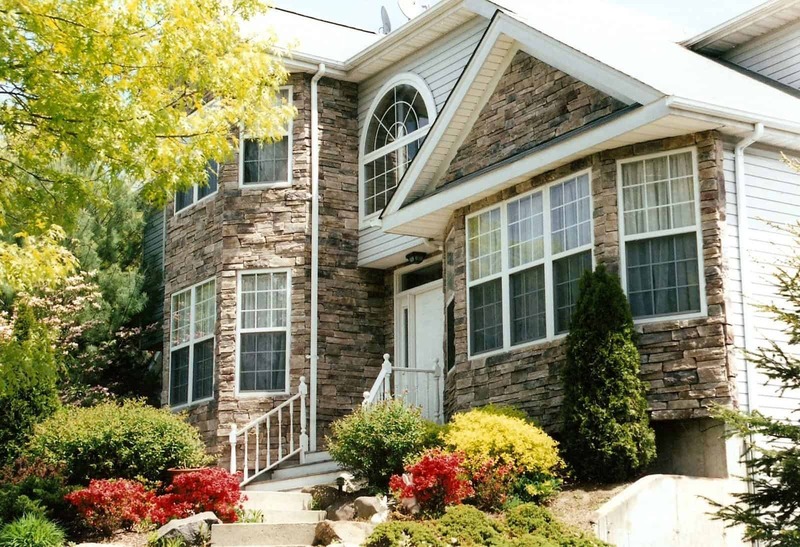 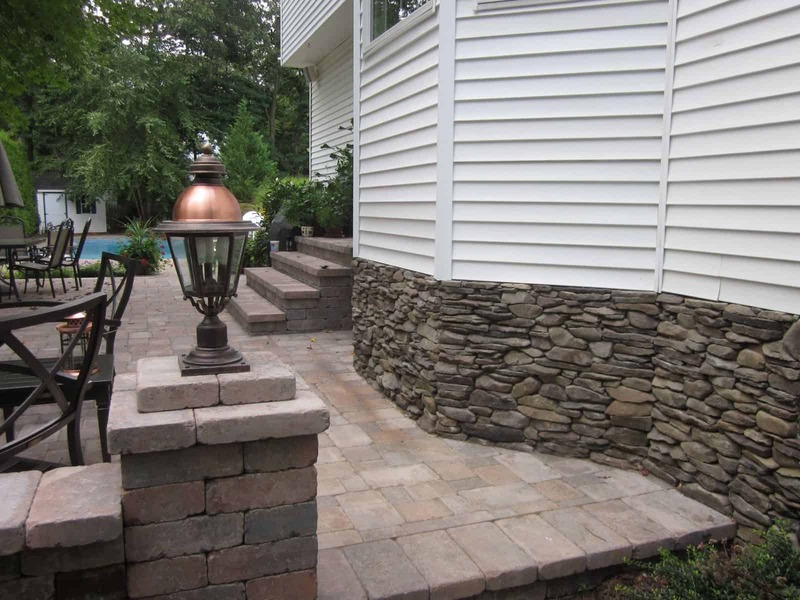 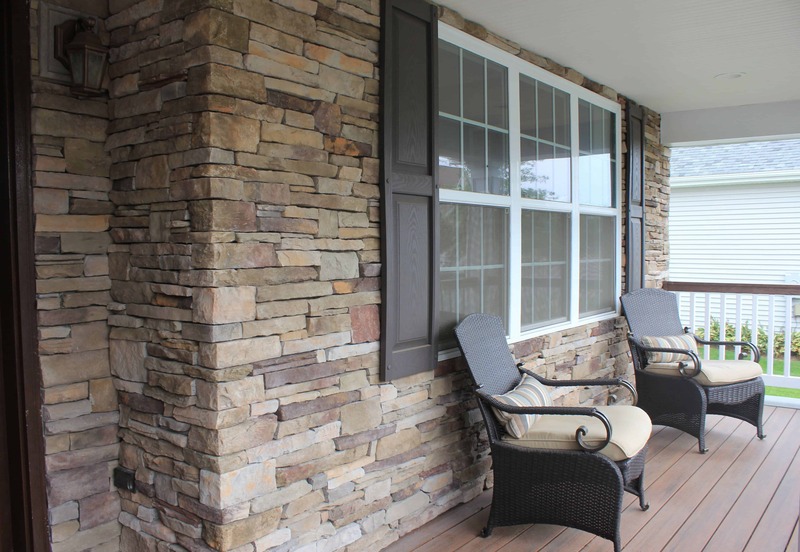 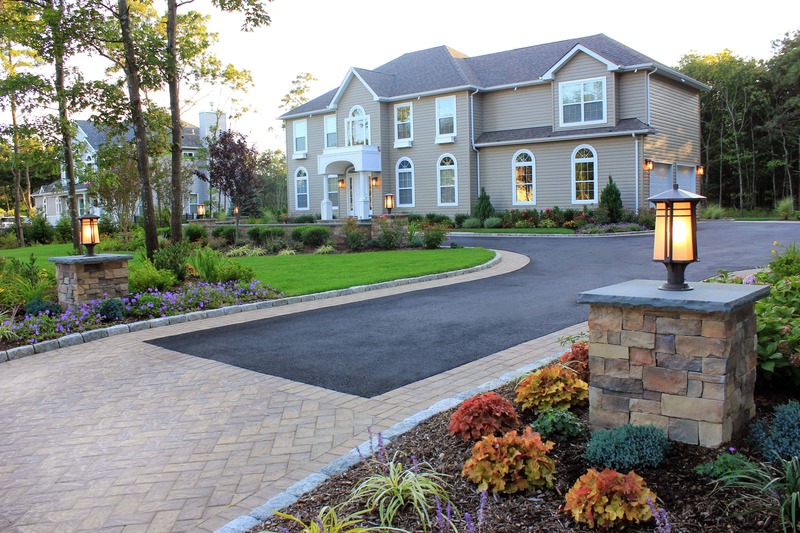 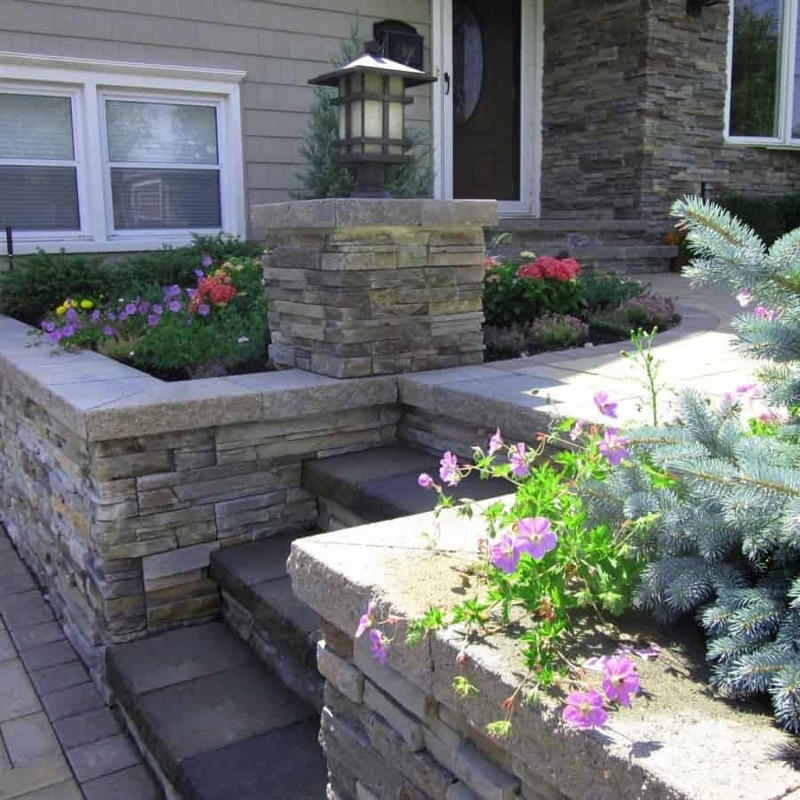 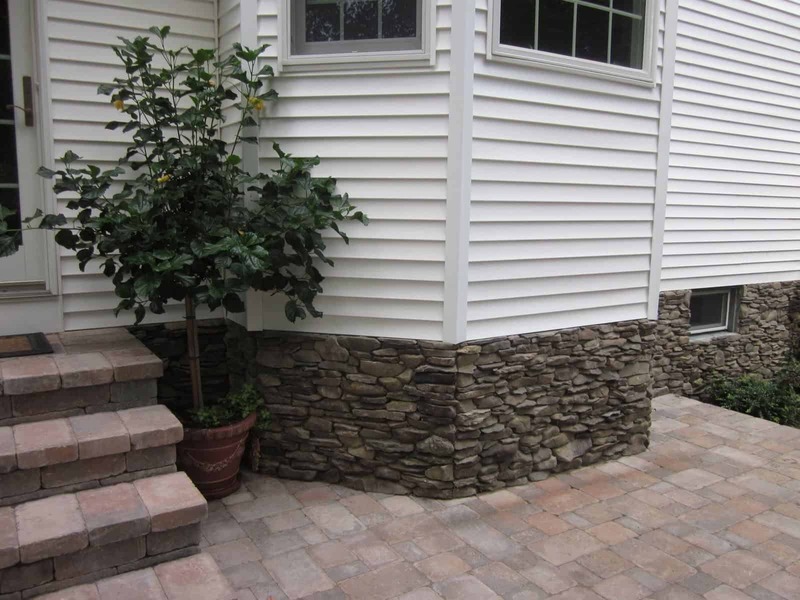 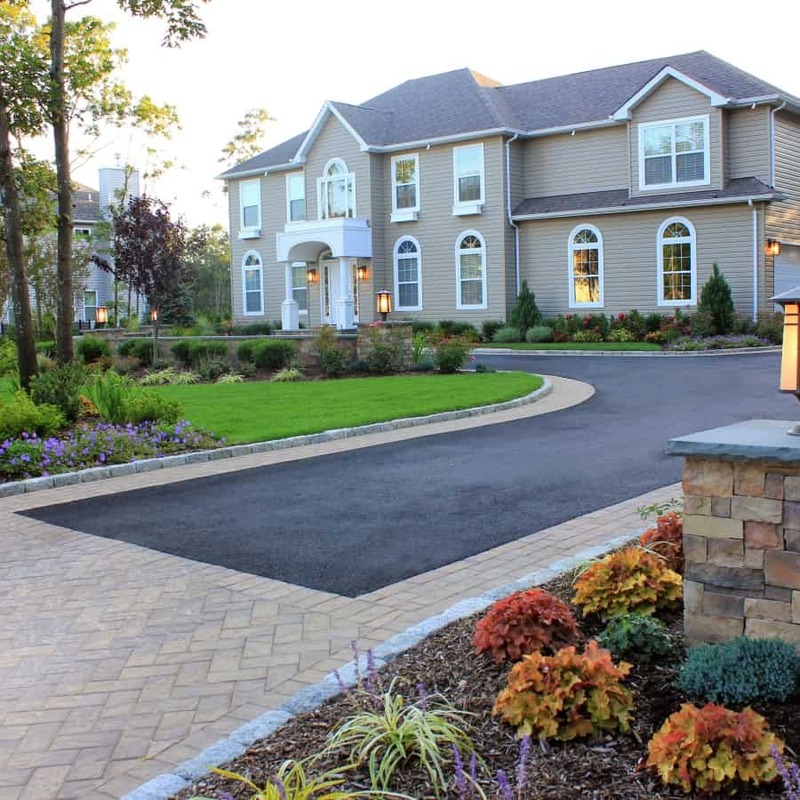 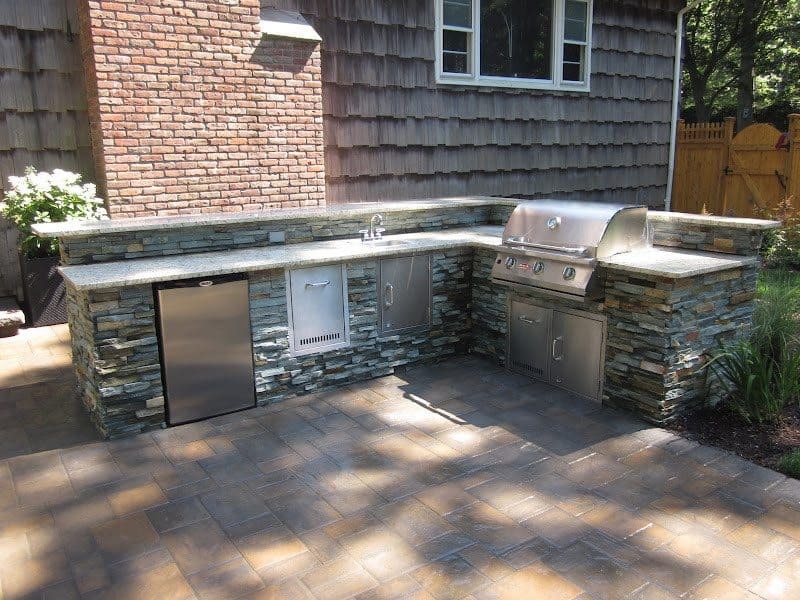 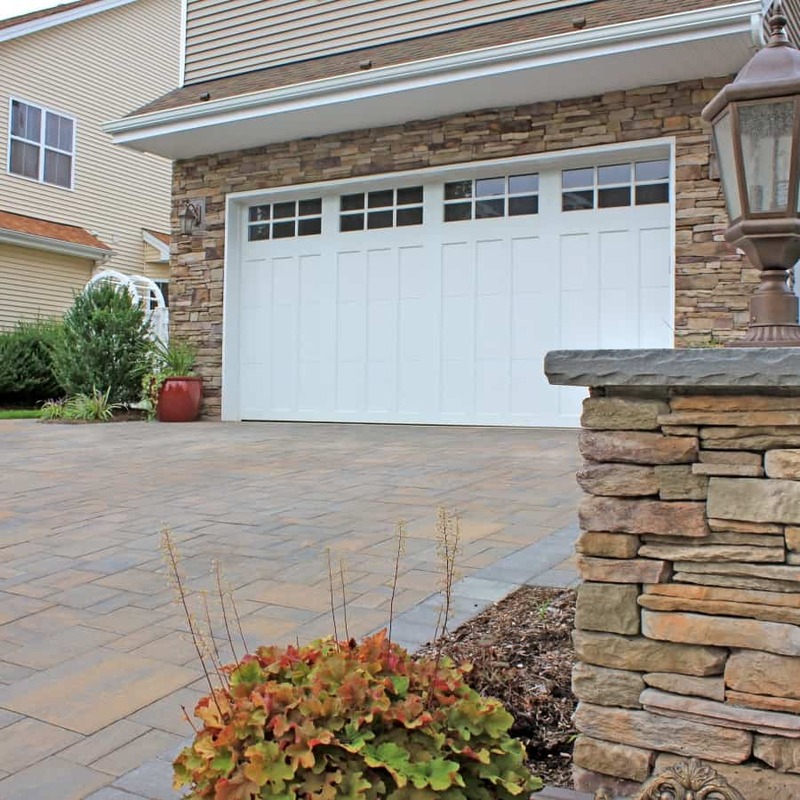 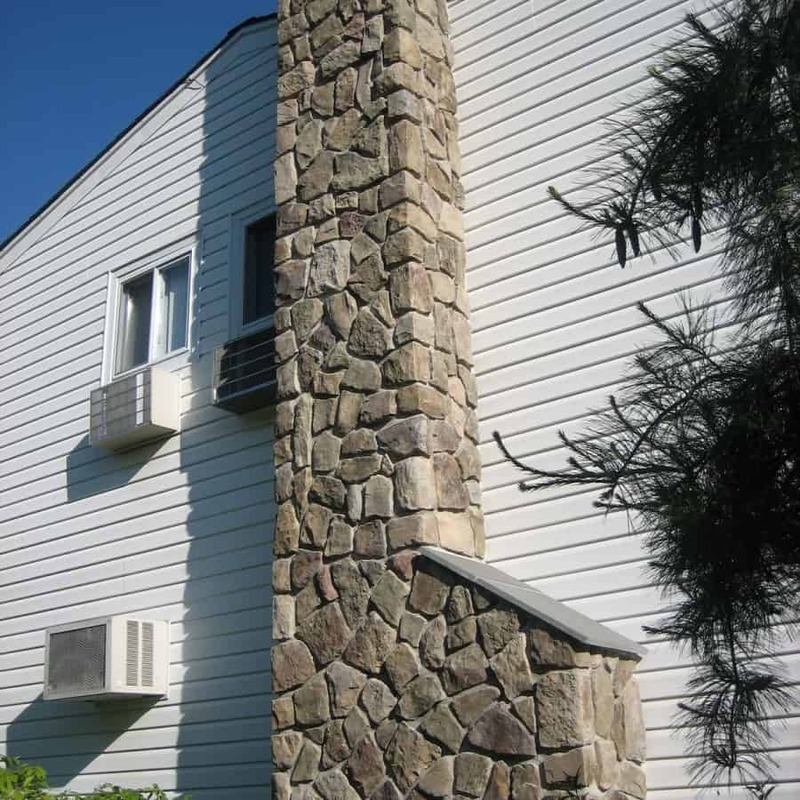 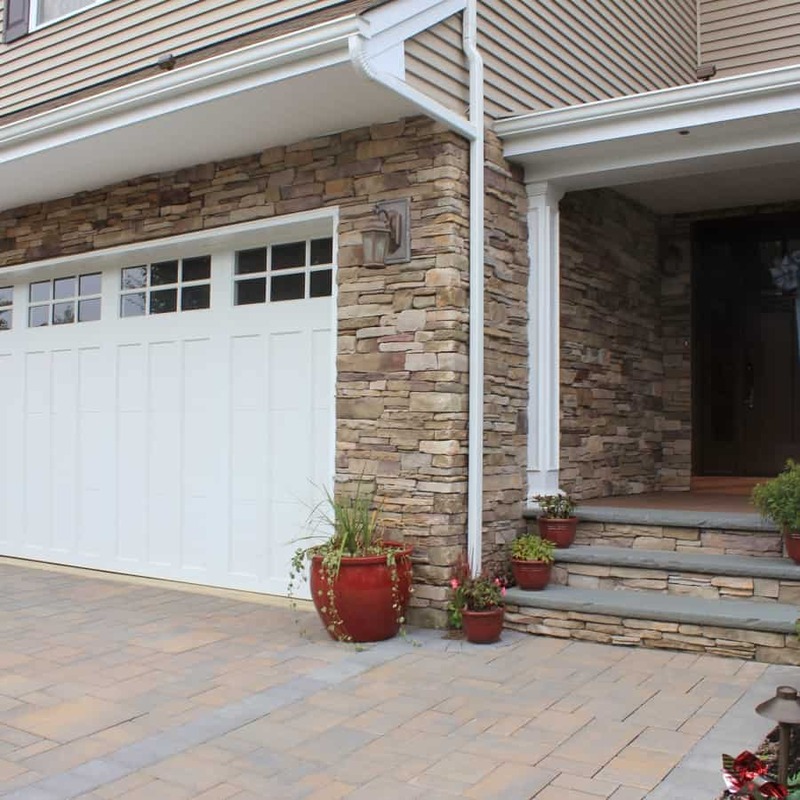 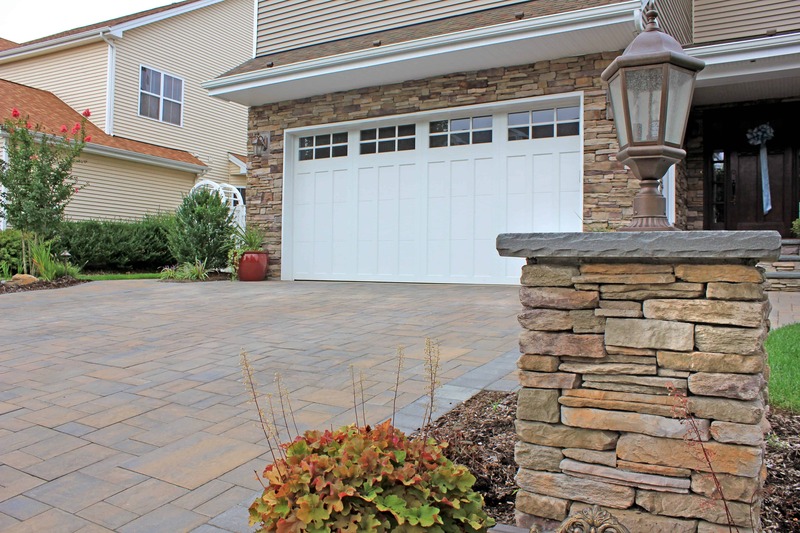 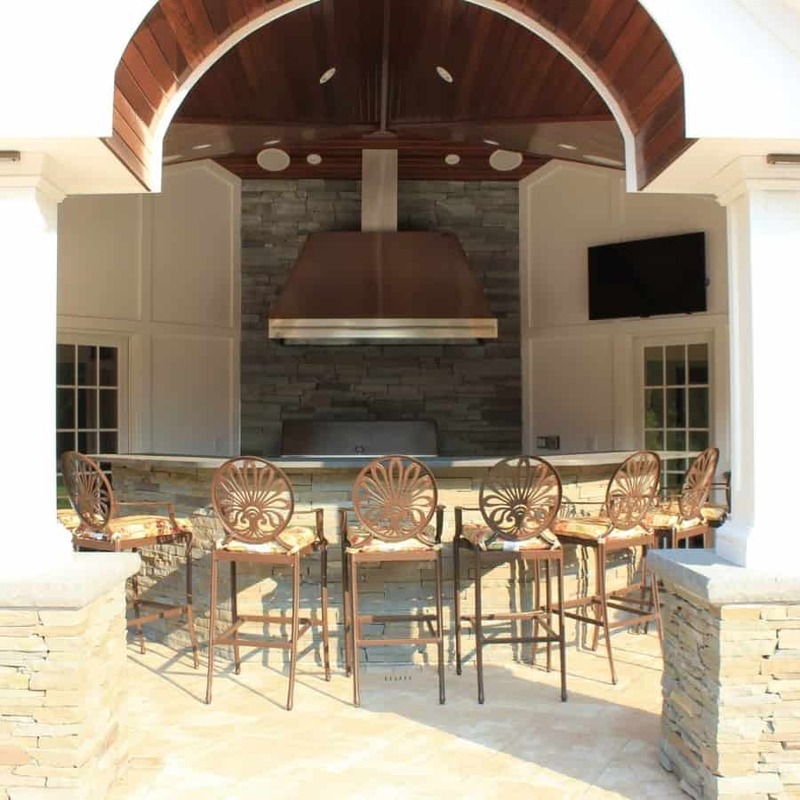 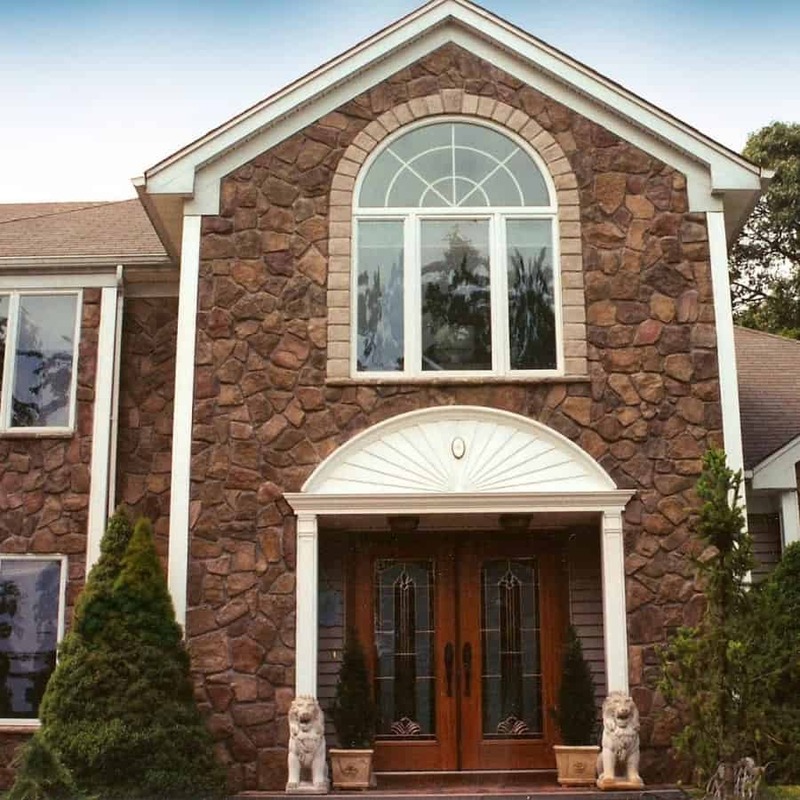 Cultured stone and natural stone veneers provide an attractive and functional alternative to traditional building methods and are becoming more popular for both the interior and exterior of homes. 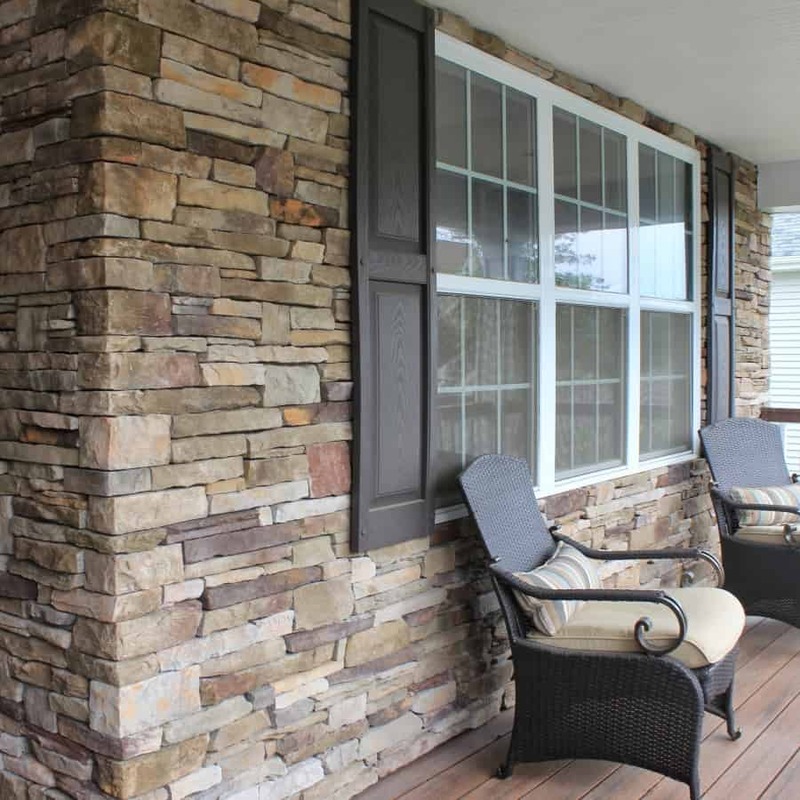 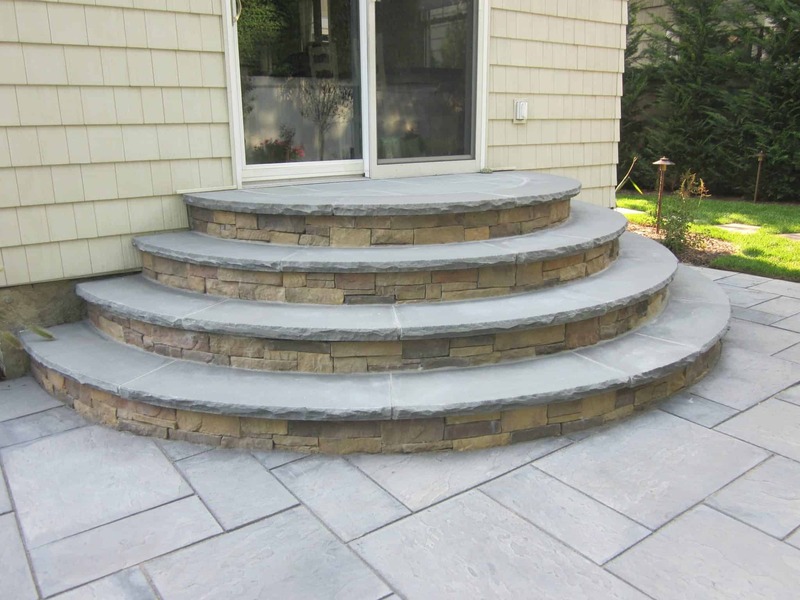 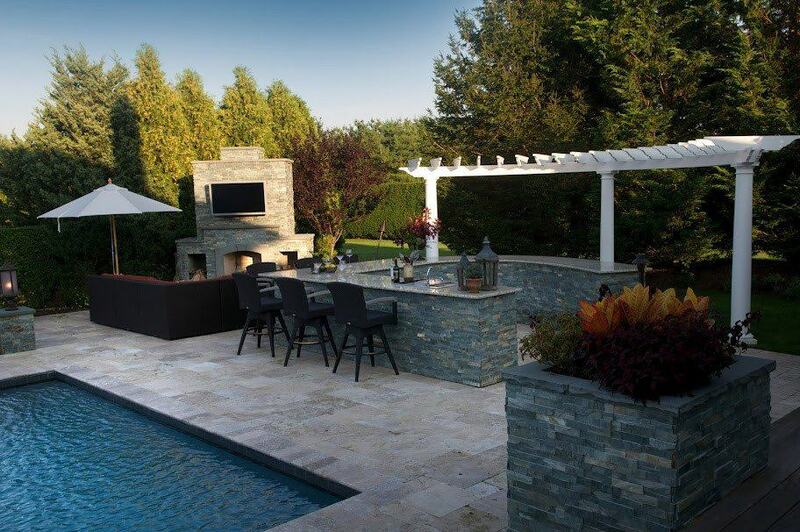 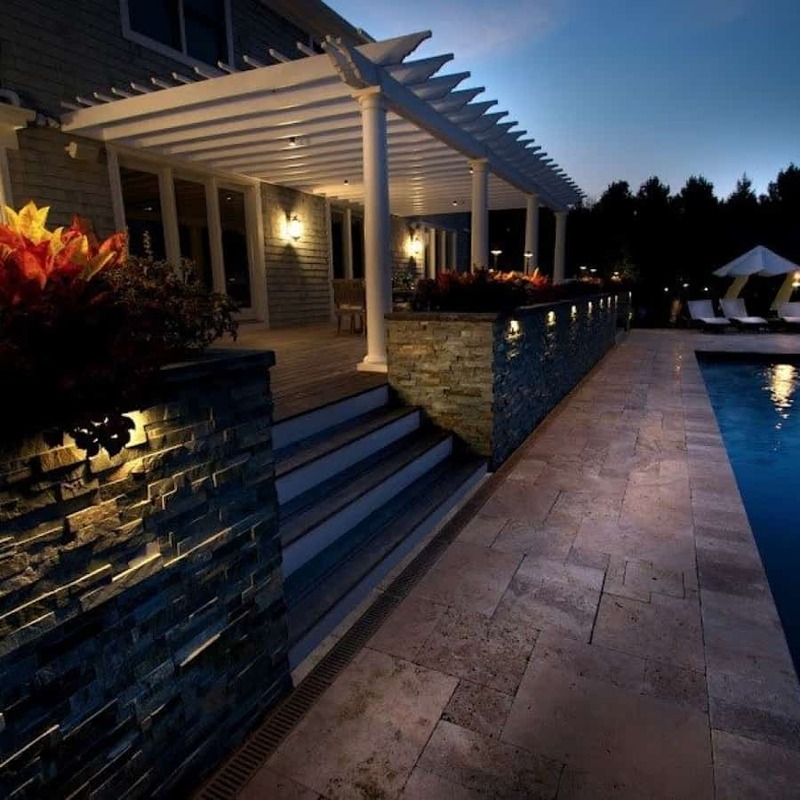 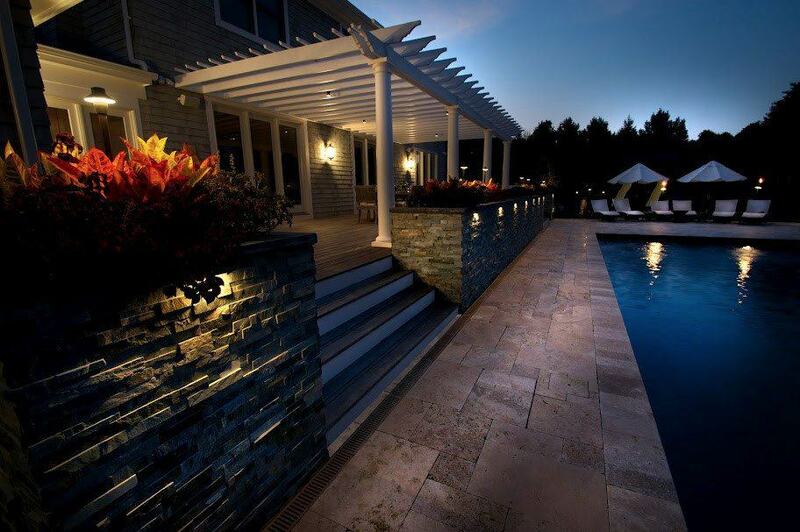 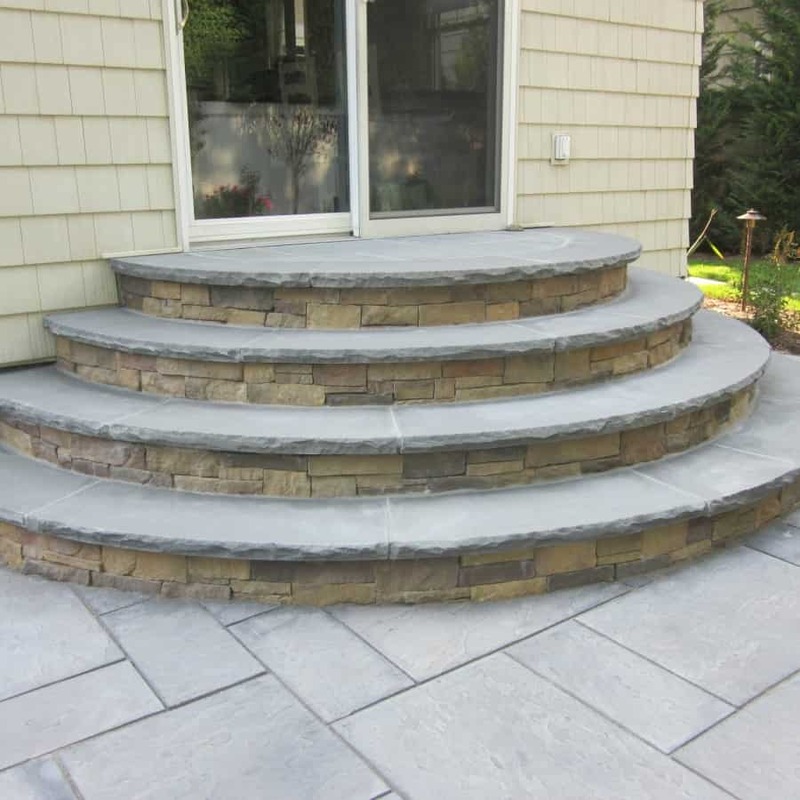 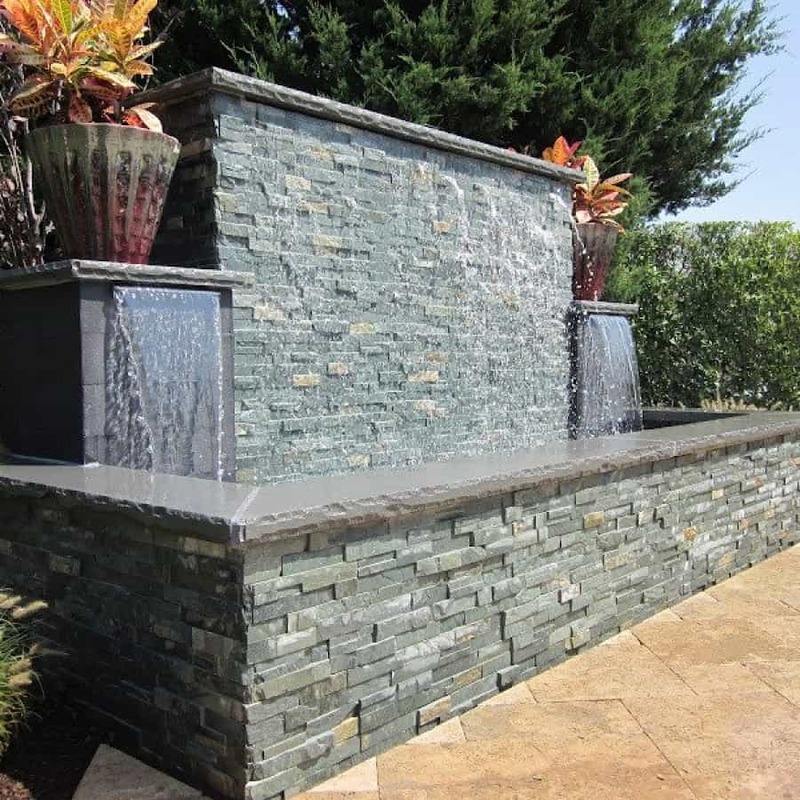 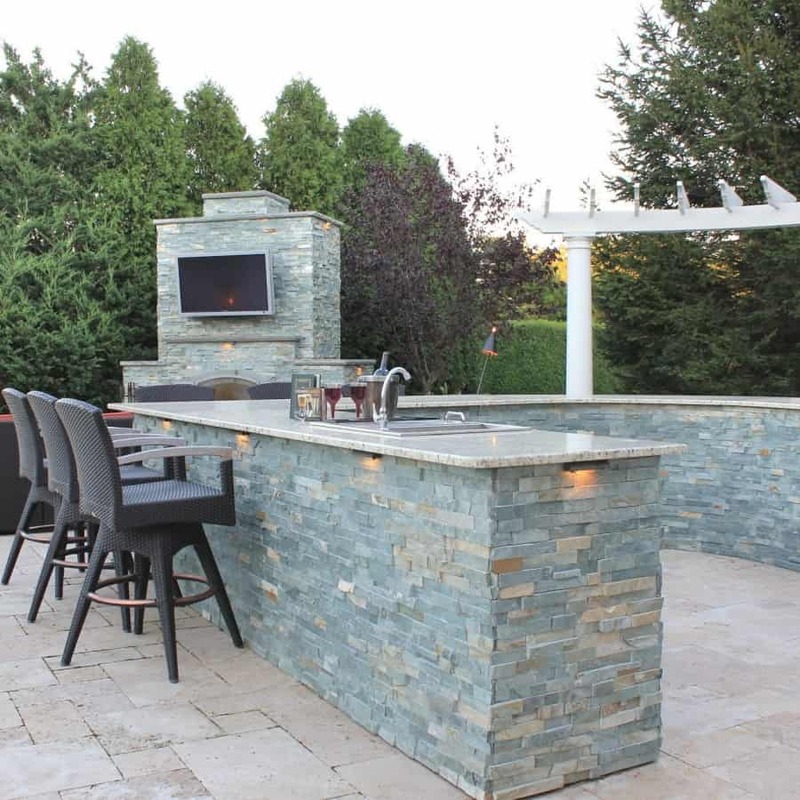 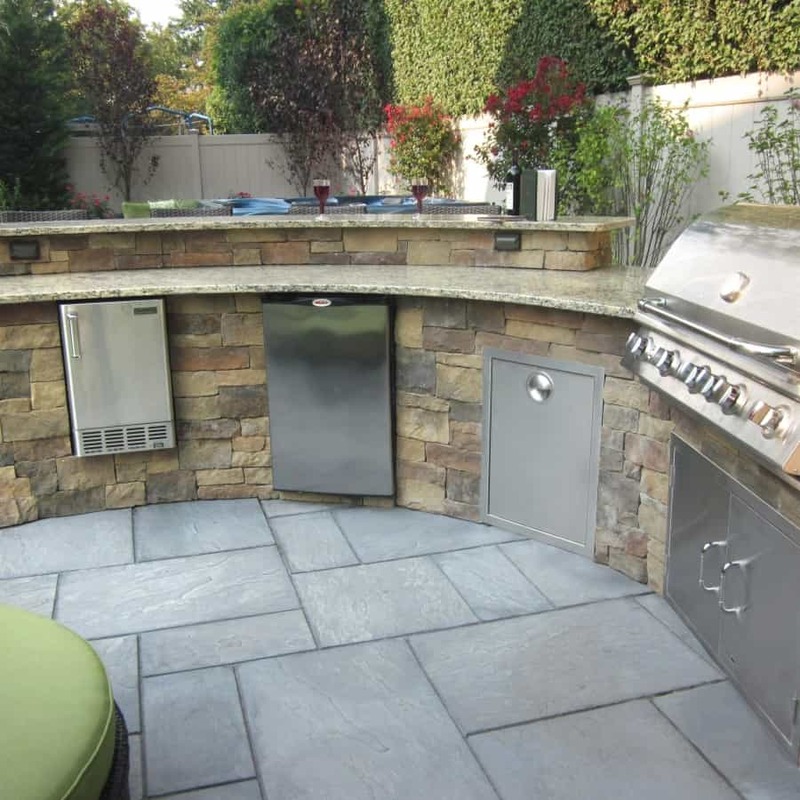 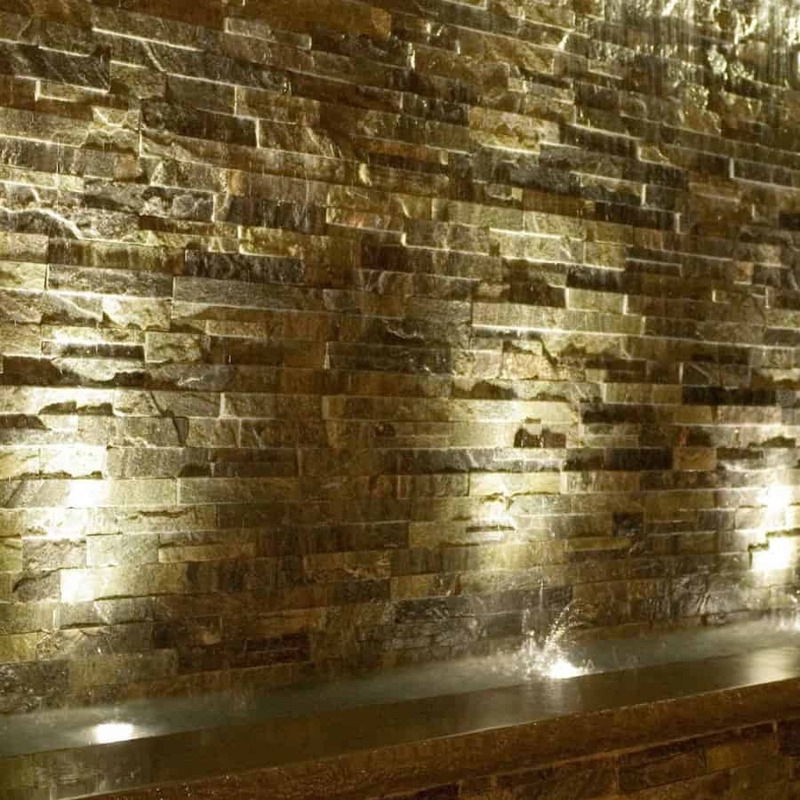 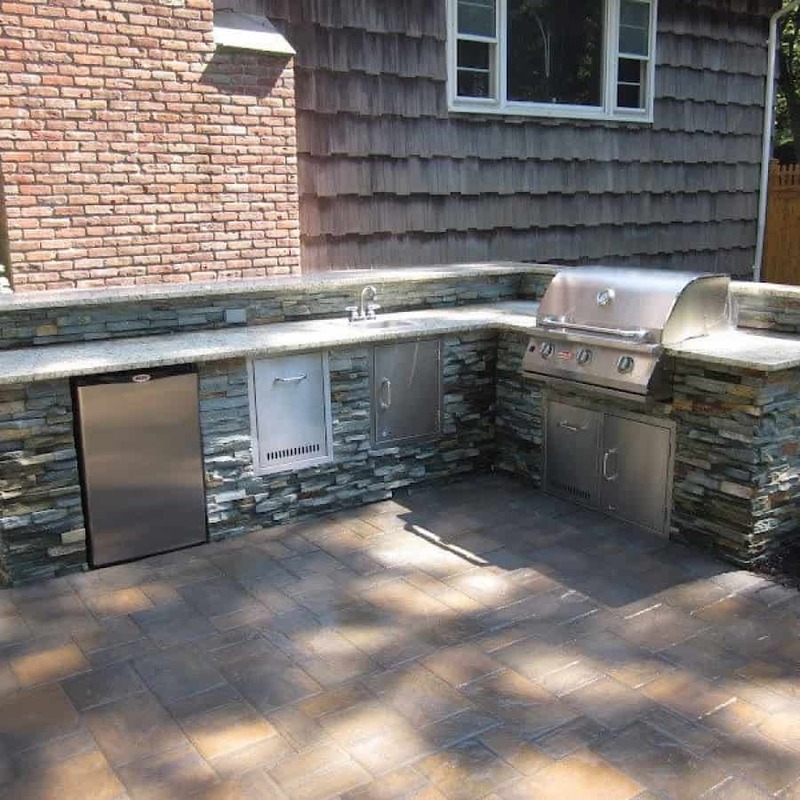 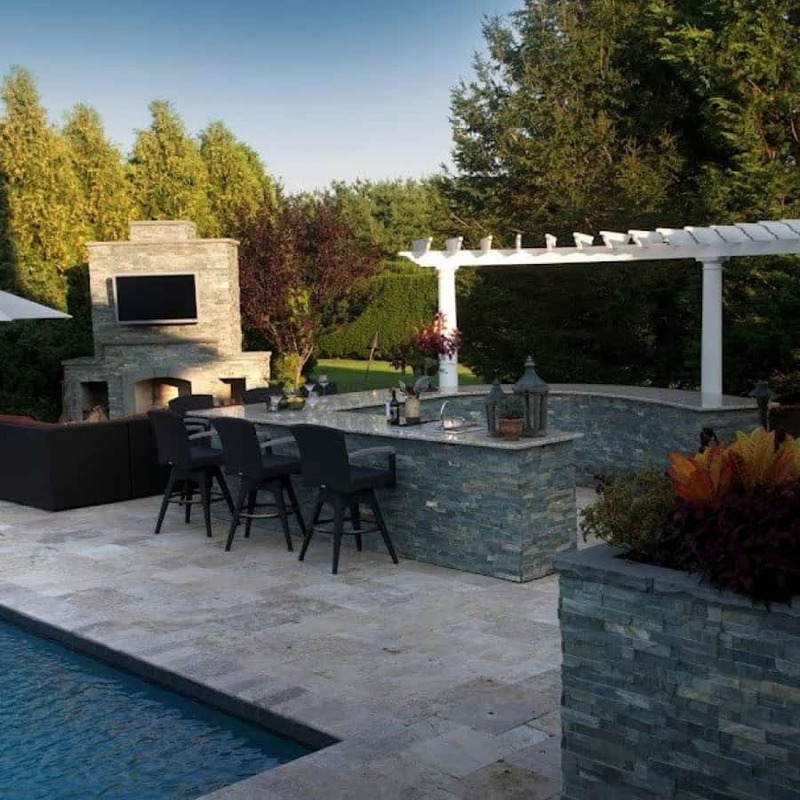 Cultured stone is a man-made stone manufactured primarily for decorative accents and comes in a wide variety of colors, shapes, and sizes that are readily available for use. 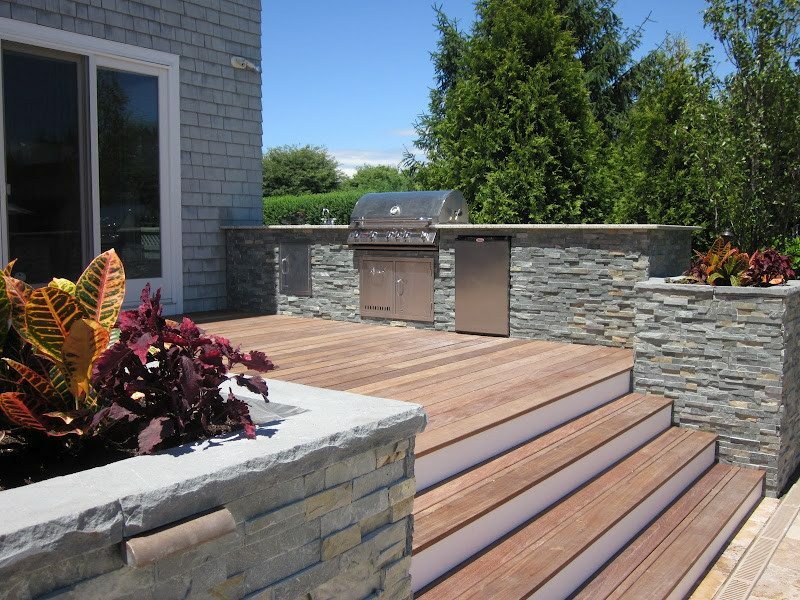 This very low maintenance and versatile material can be used over most surfaces considering its flat backside. 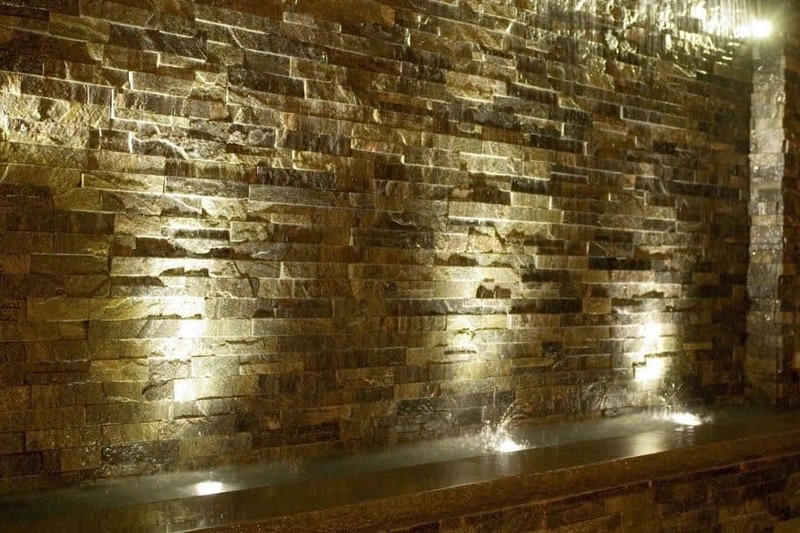 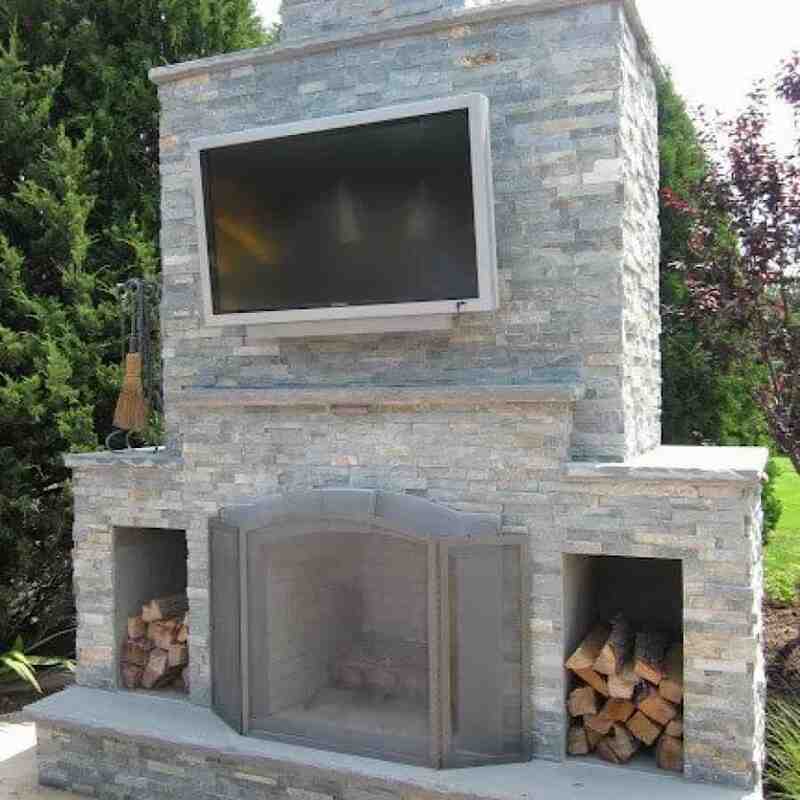 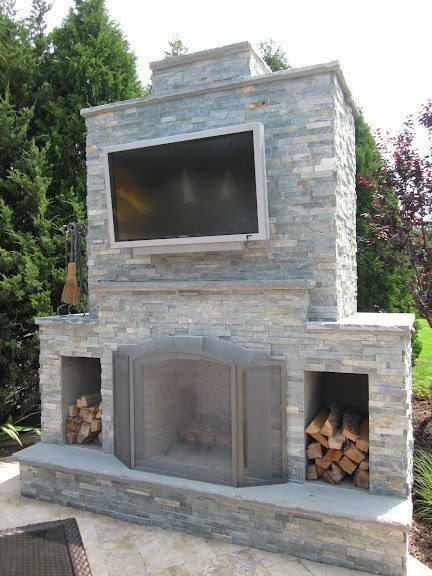 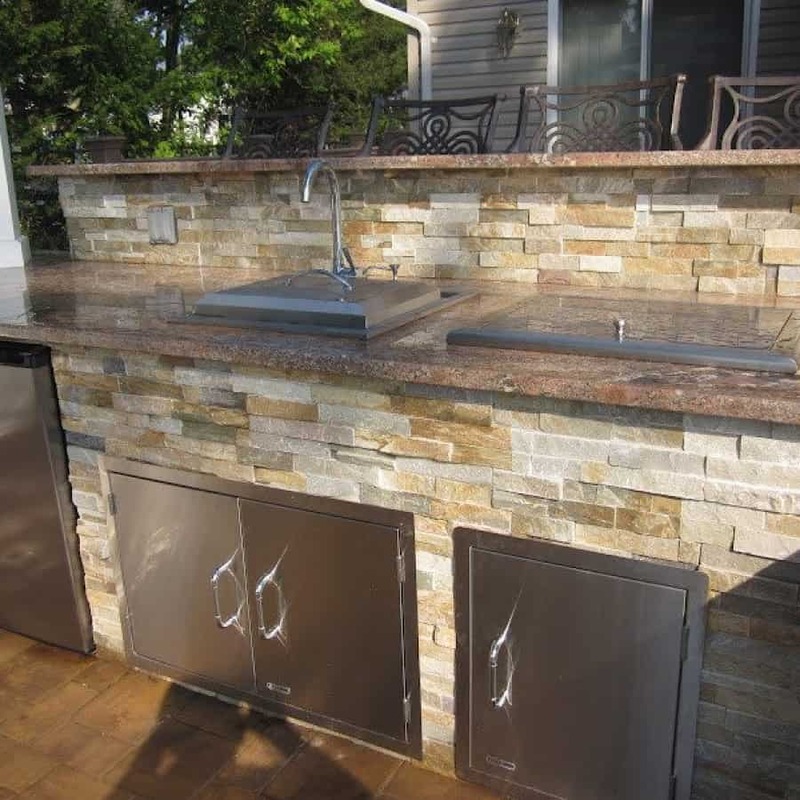 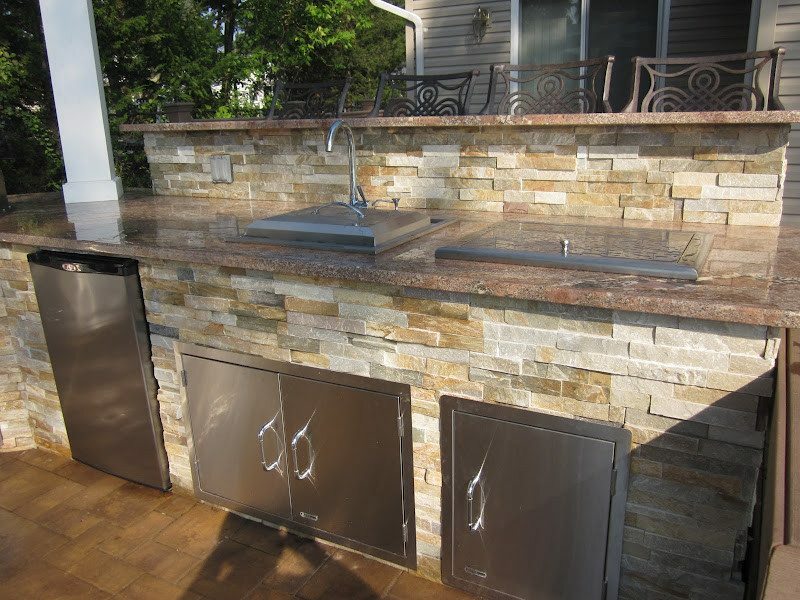 Natural stone veneers can be used in many similar applications, as well. 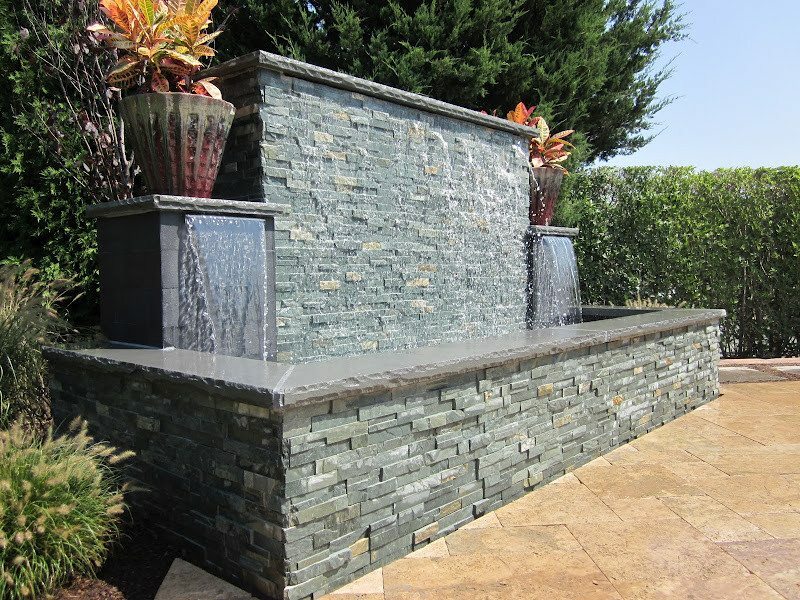 The actual stone is cut so that it is thin enough to be veneered on to the wall, house, or unit. 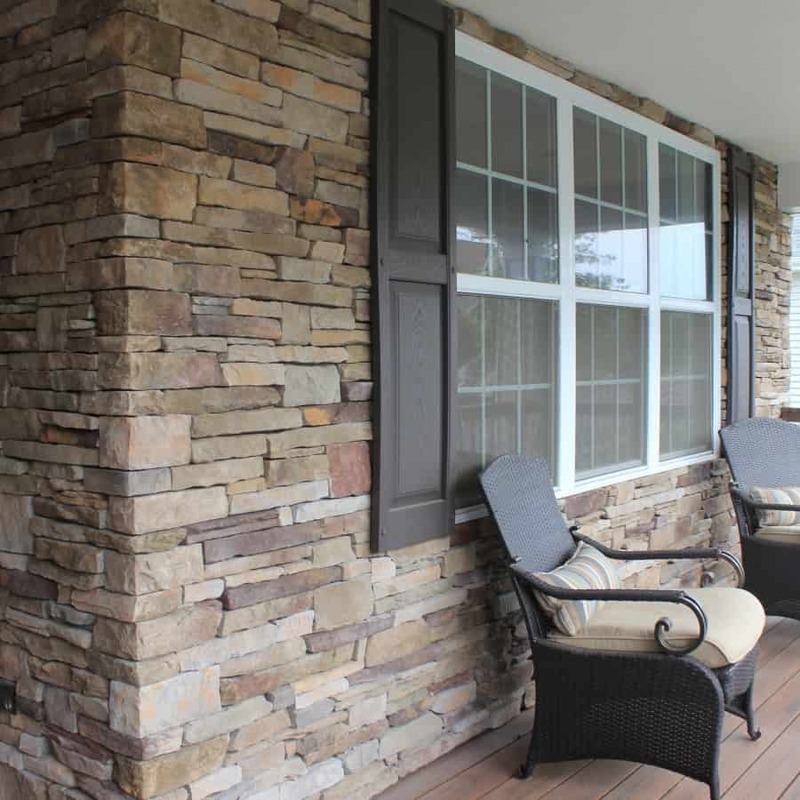 This material also comes in a wide variety of color, textures, and sizes. 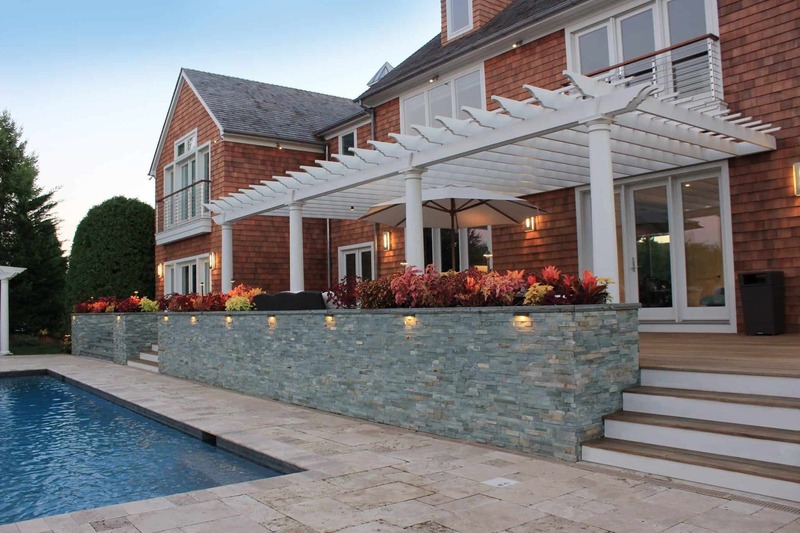 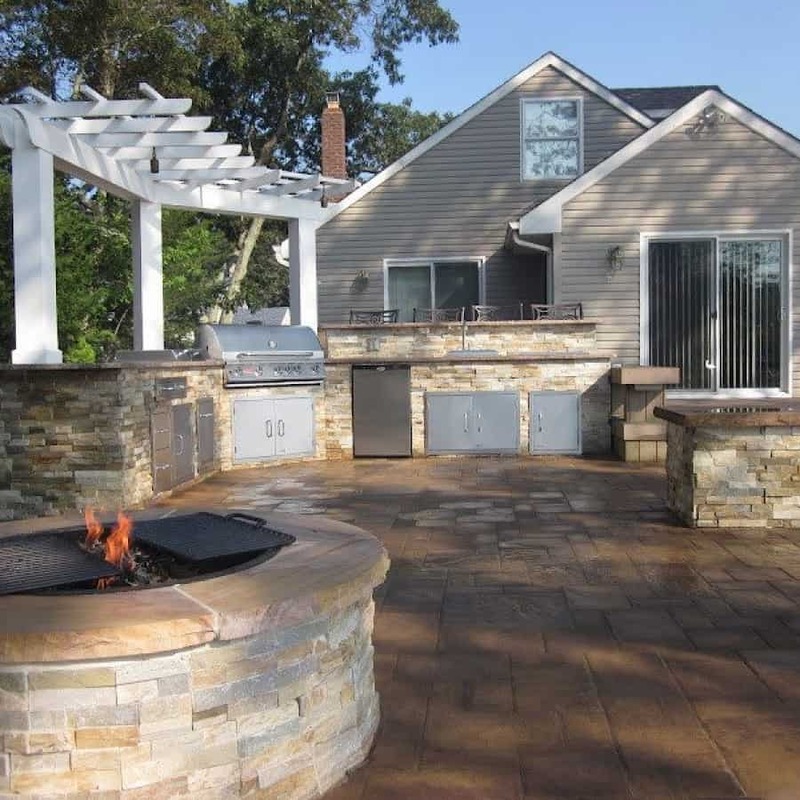 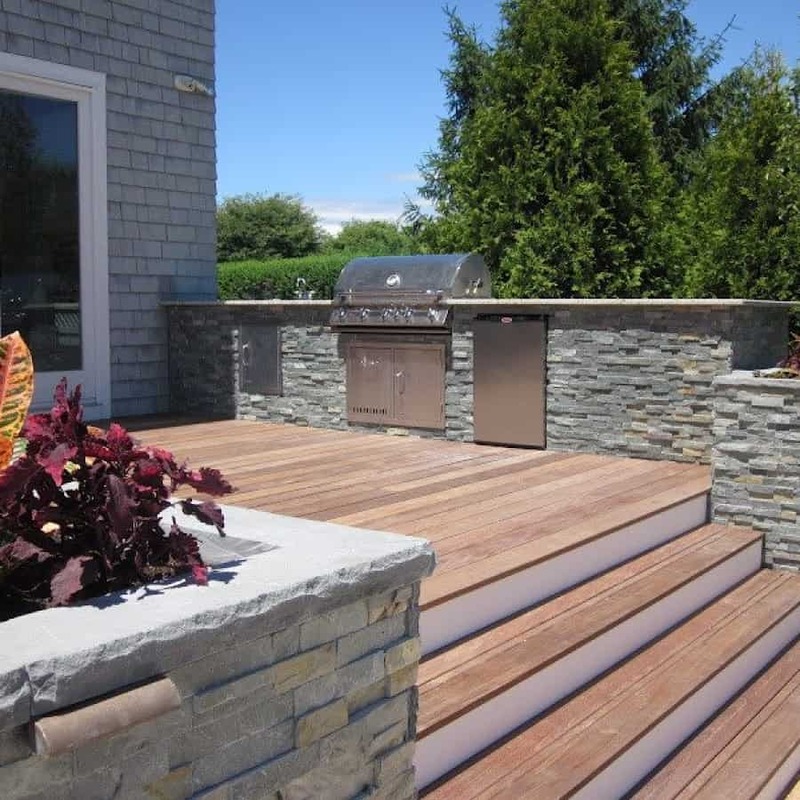 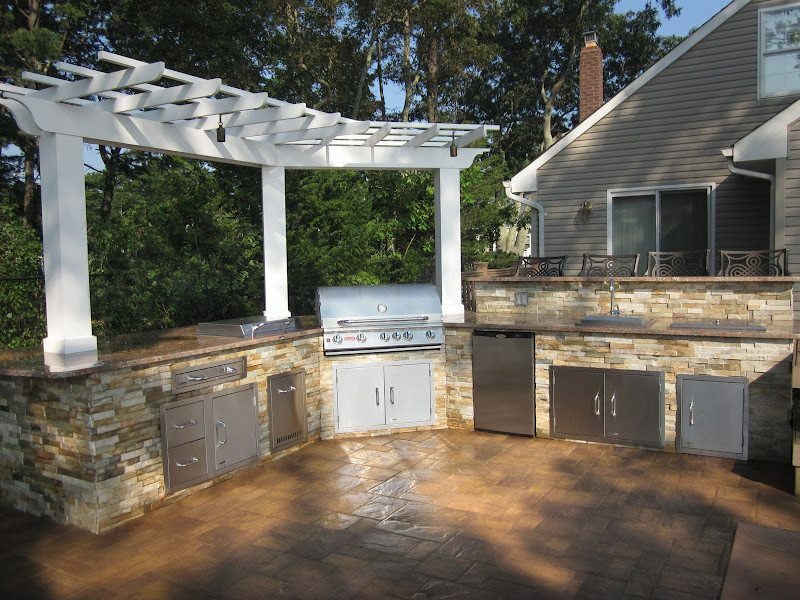 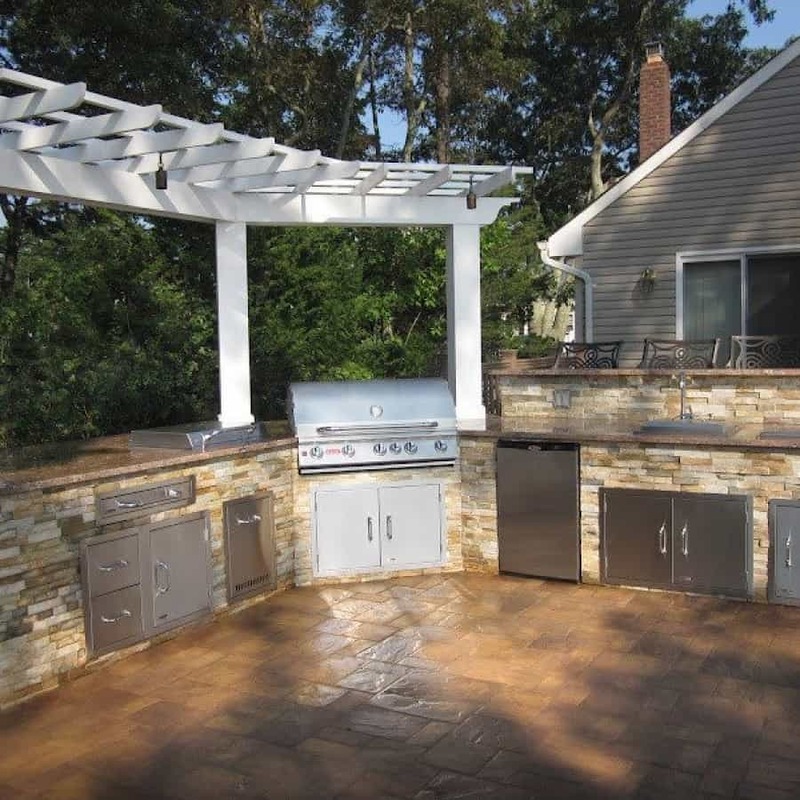 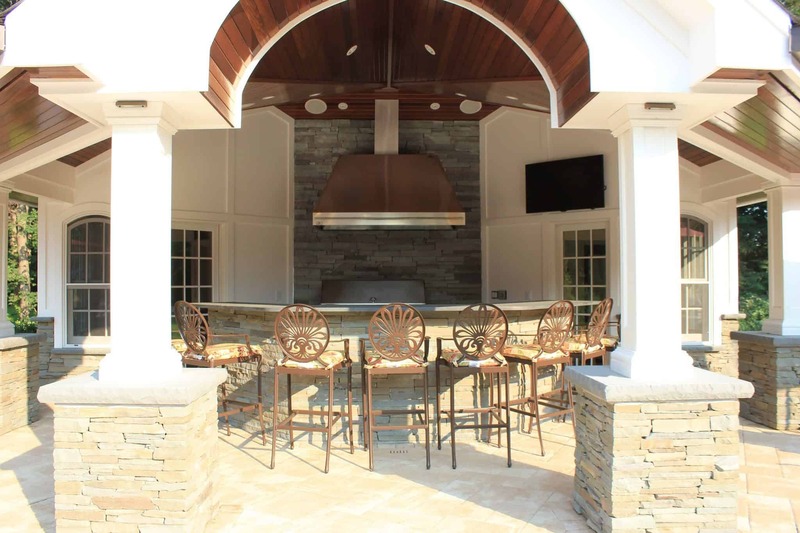 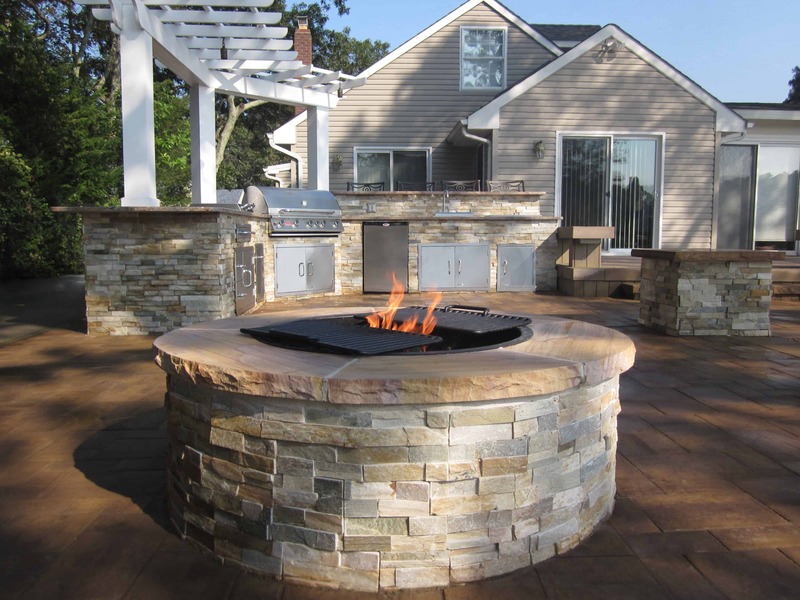 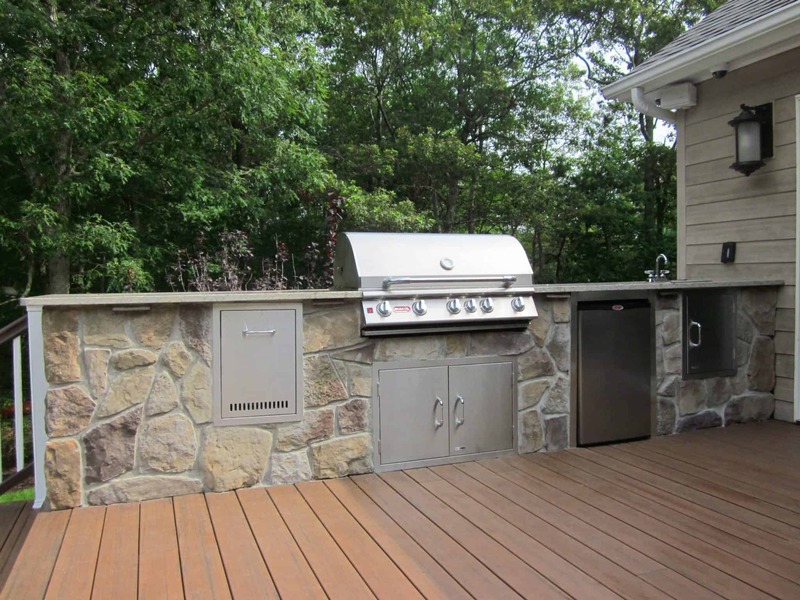 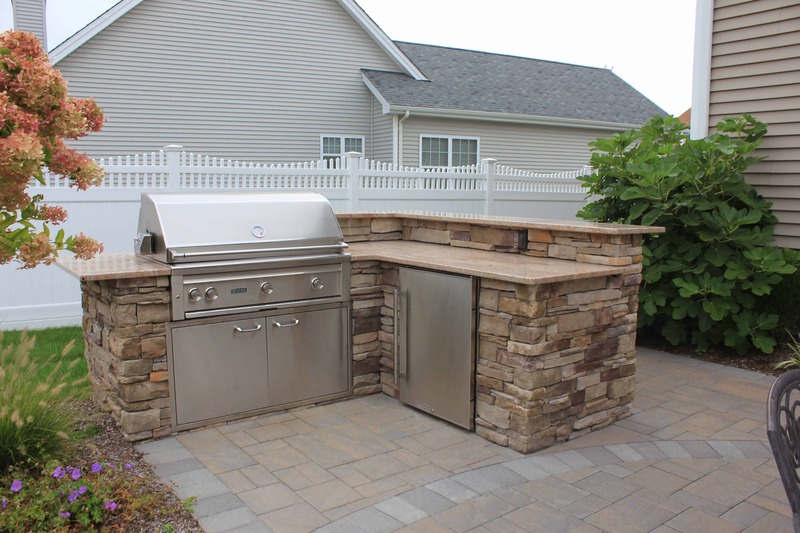 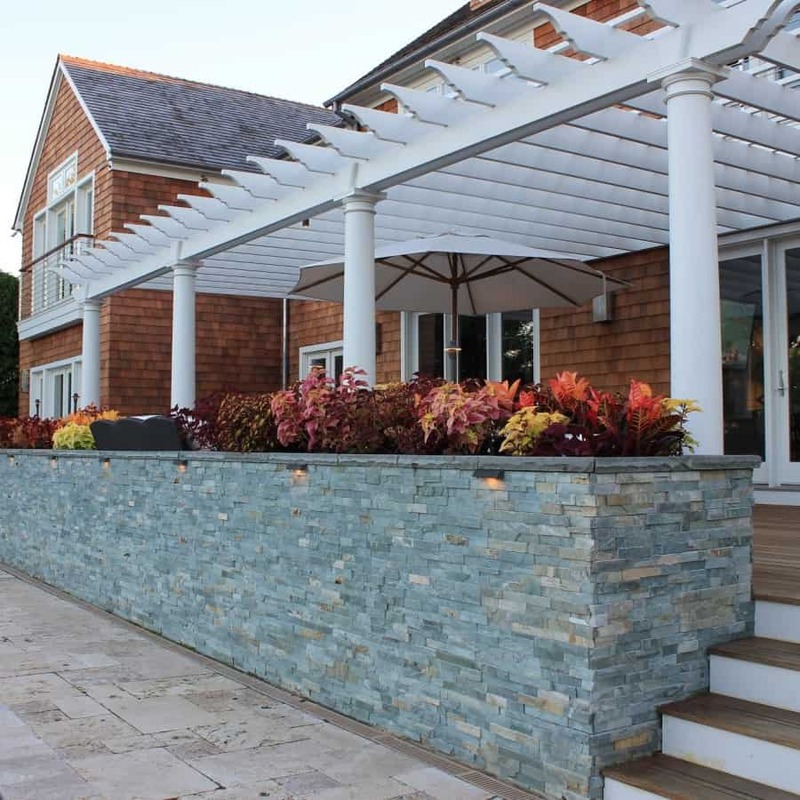 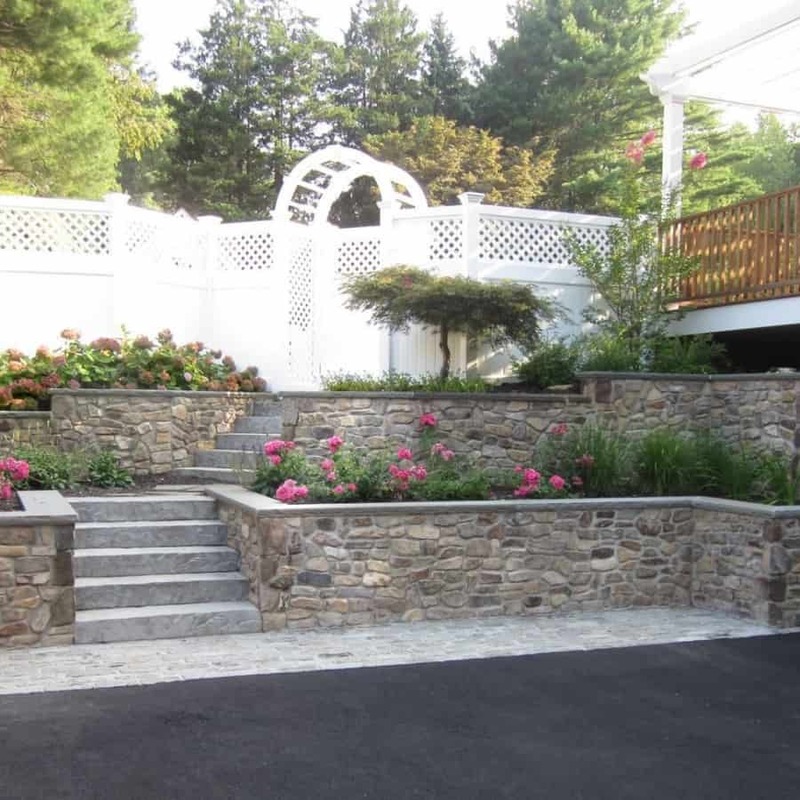 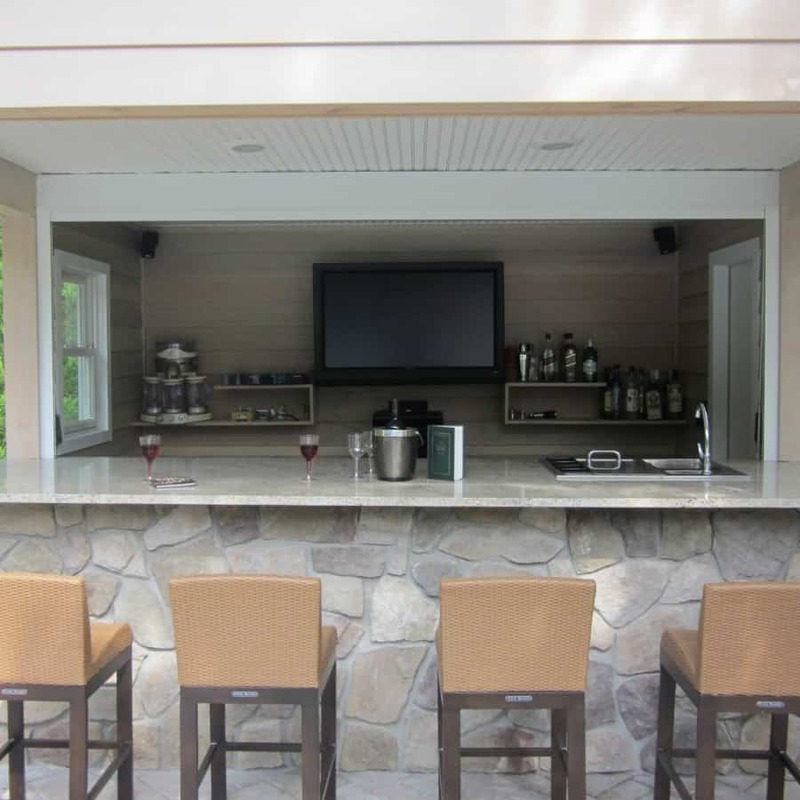 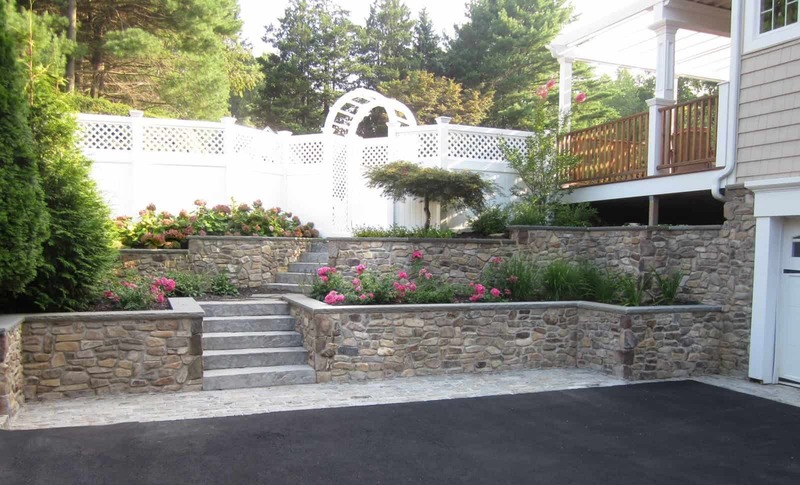 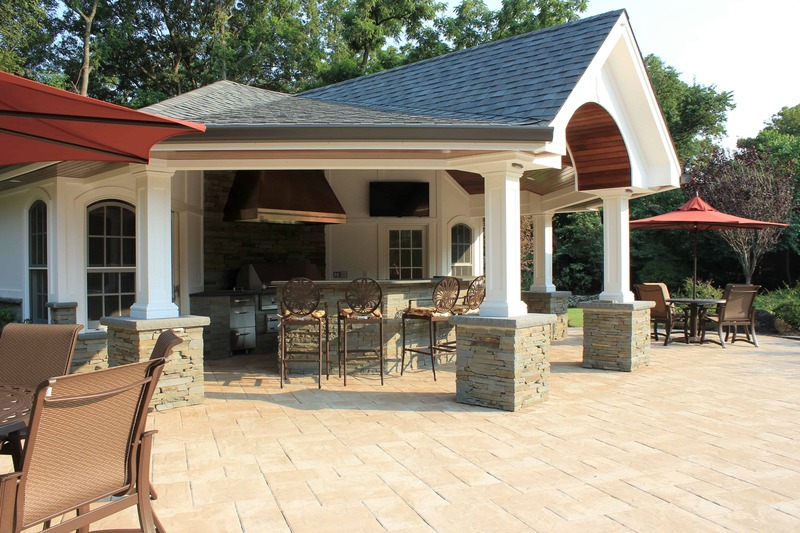 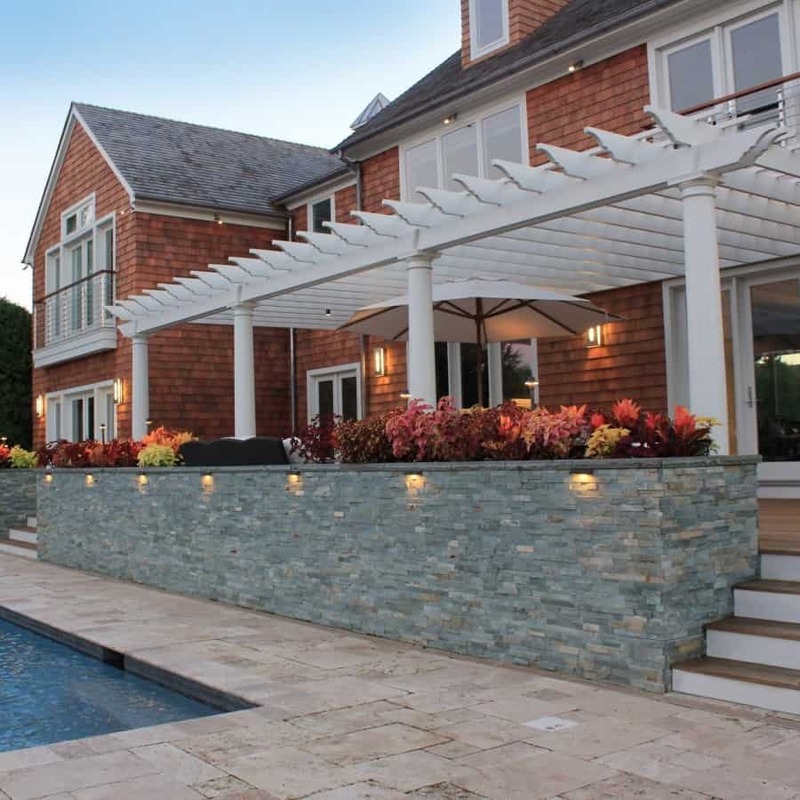 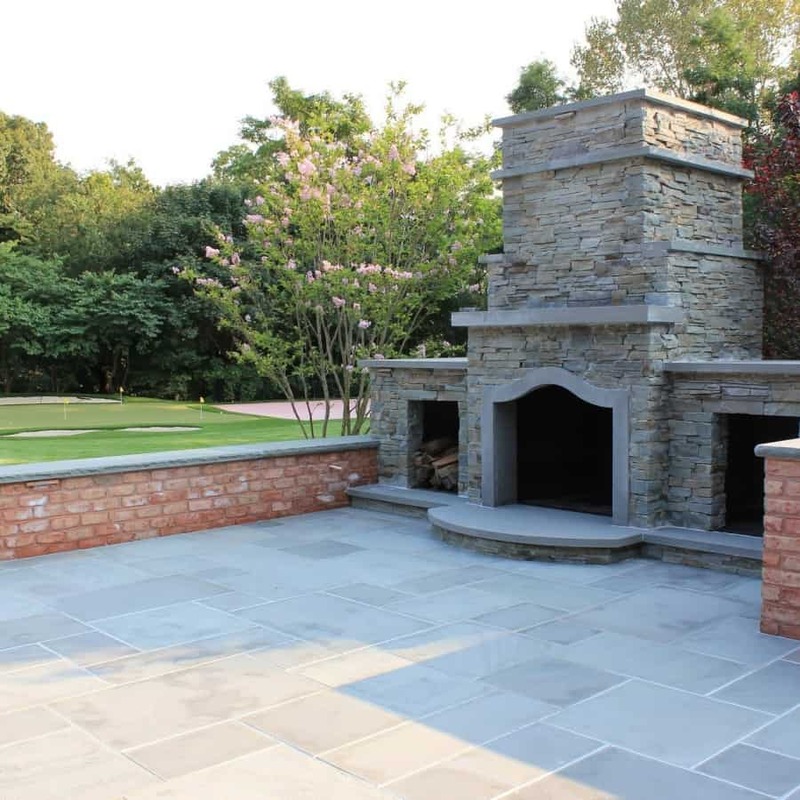 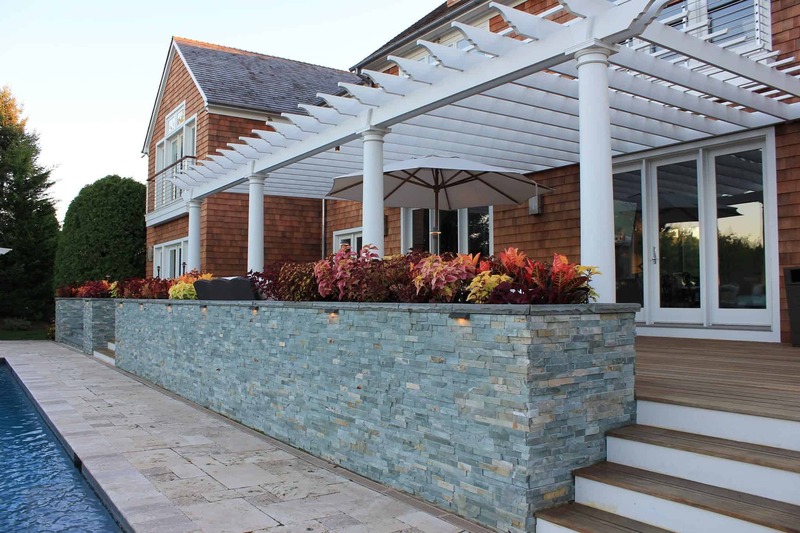 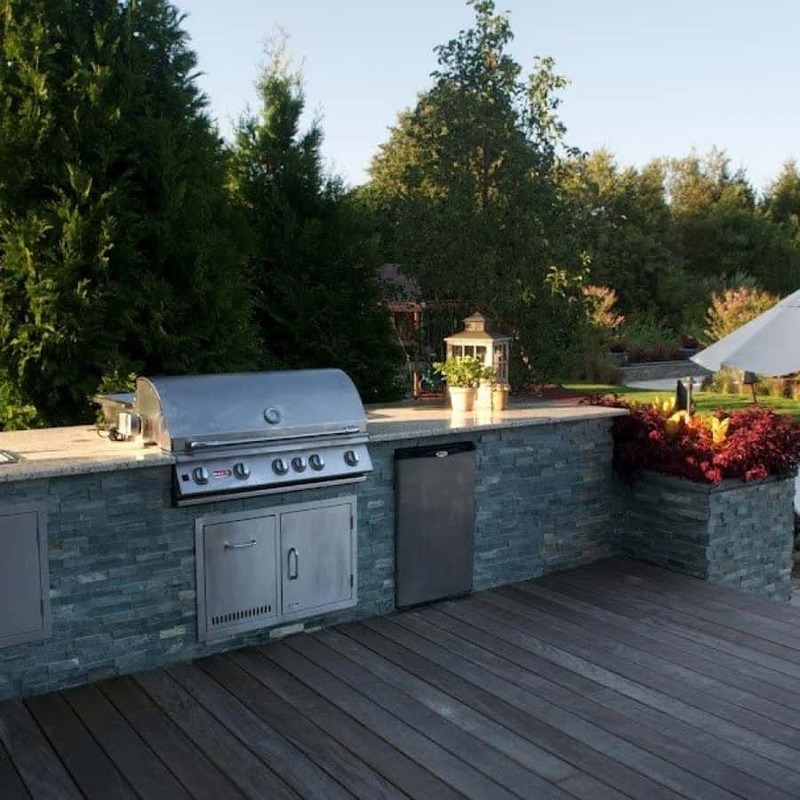 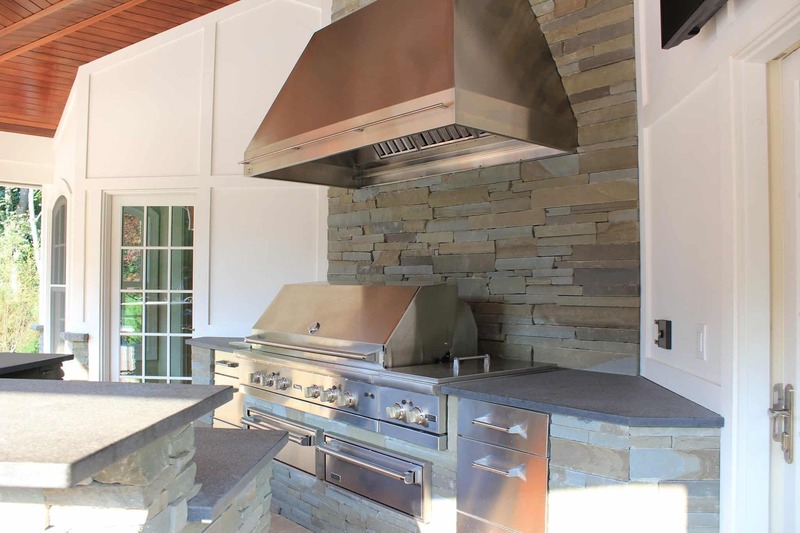 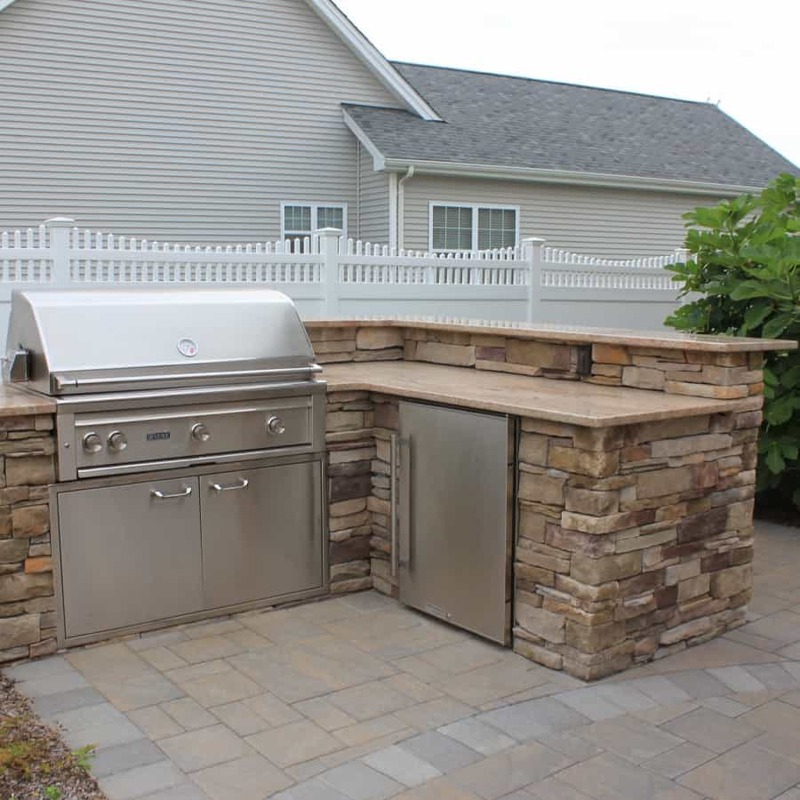 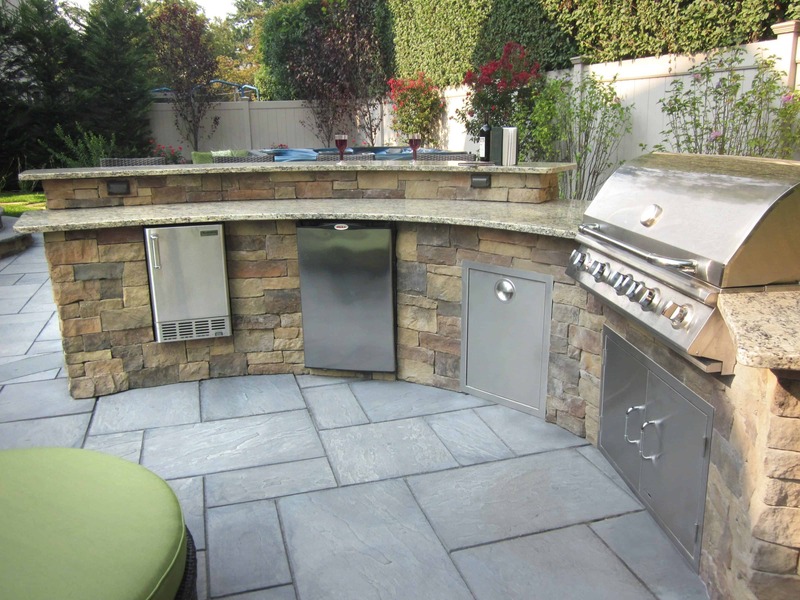 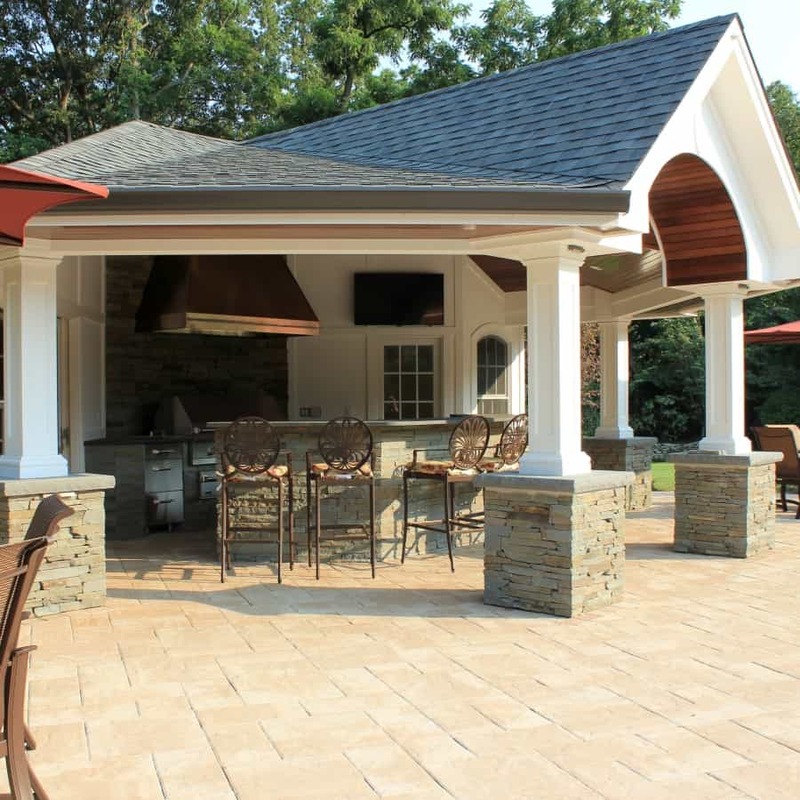 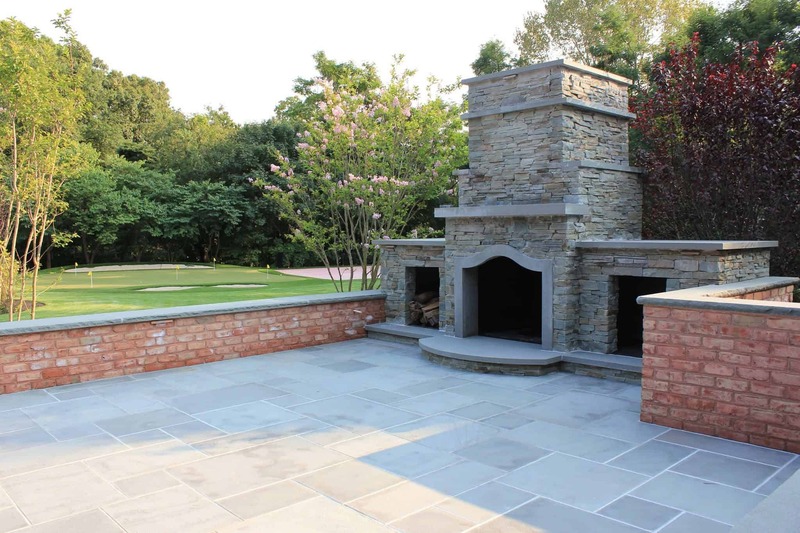 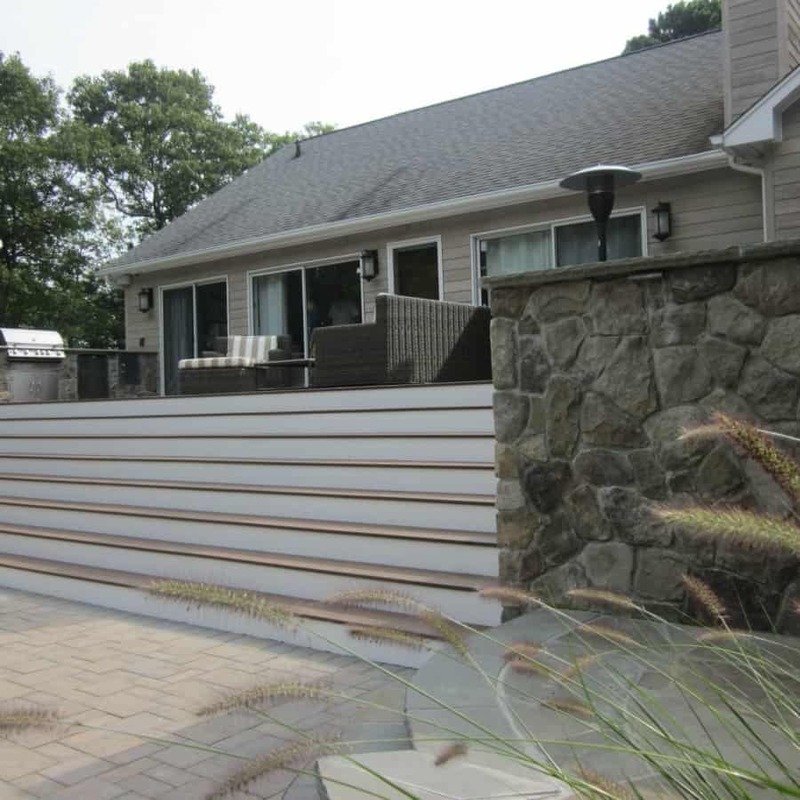 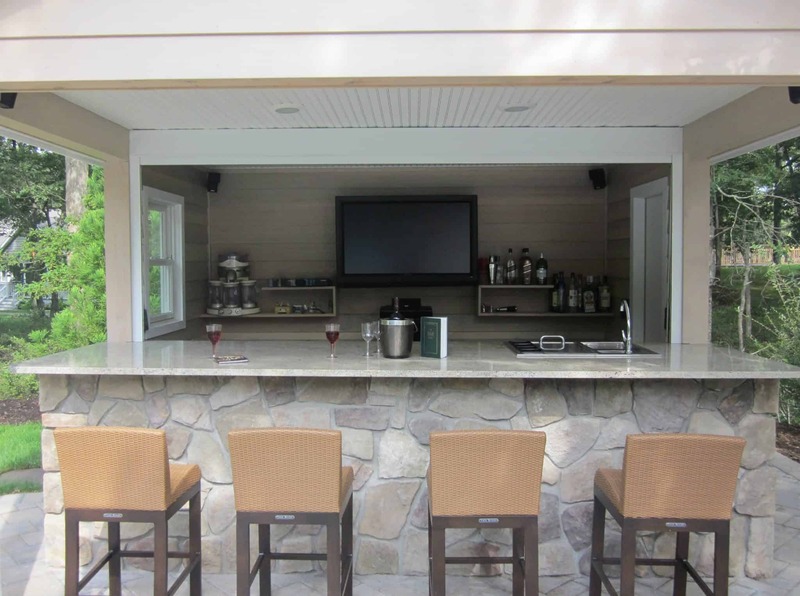 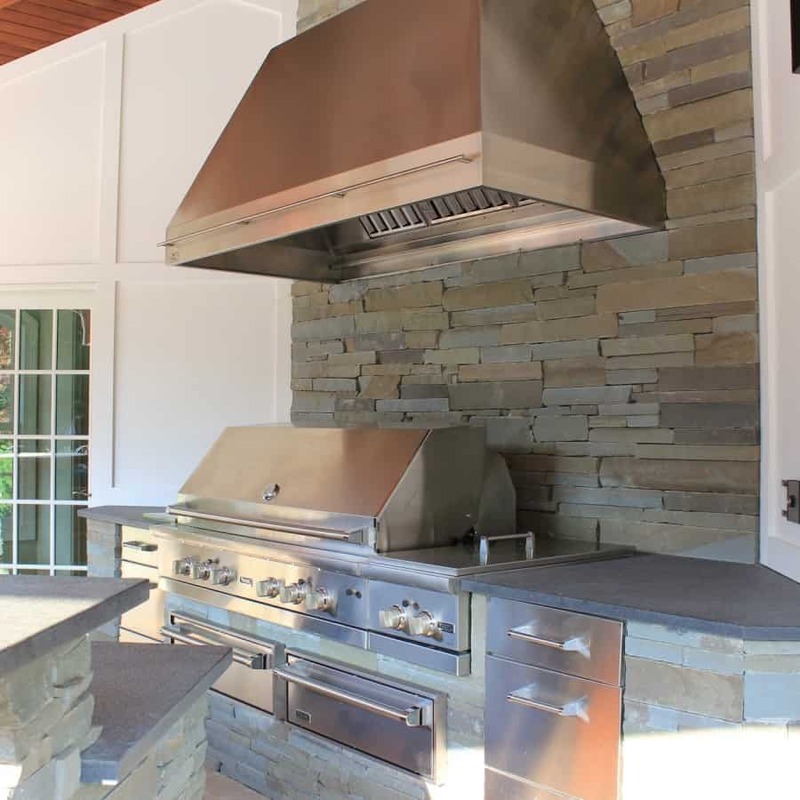 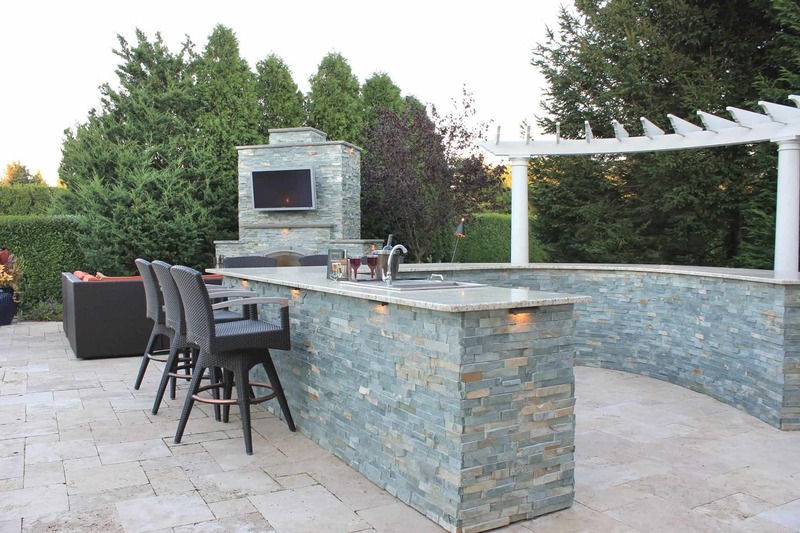 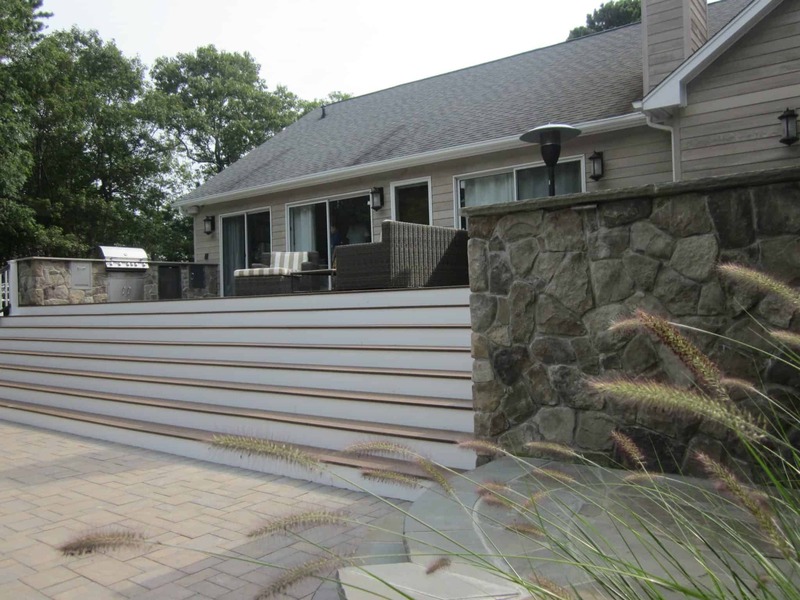 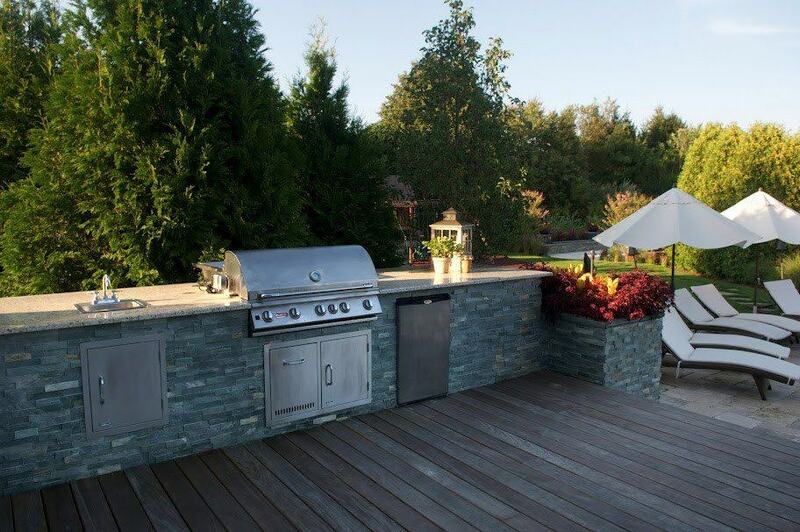 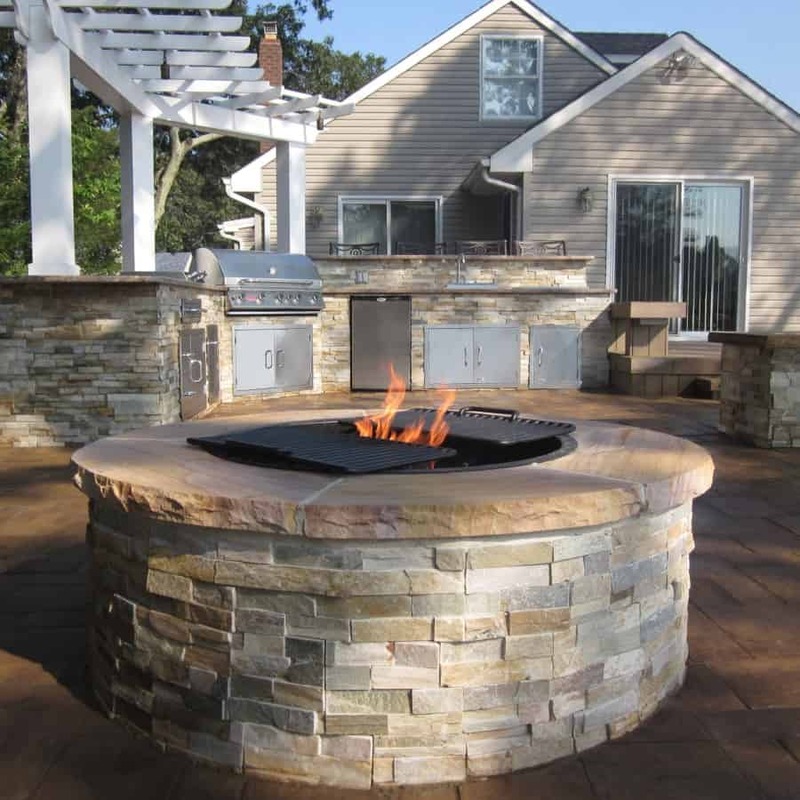 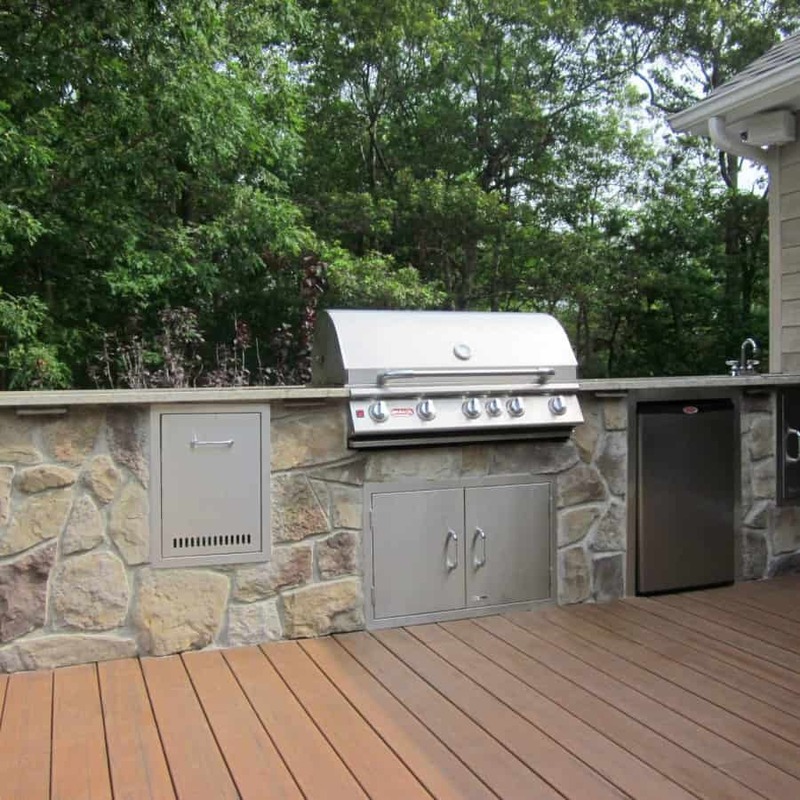 Whether it is a retaining wall, the façade of your home, or an outdoor kitchen, these alternative building materials may be the ideal addition to consider for your project. 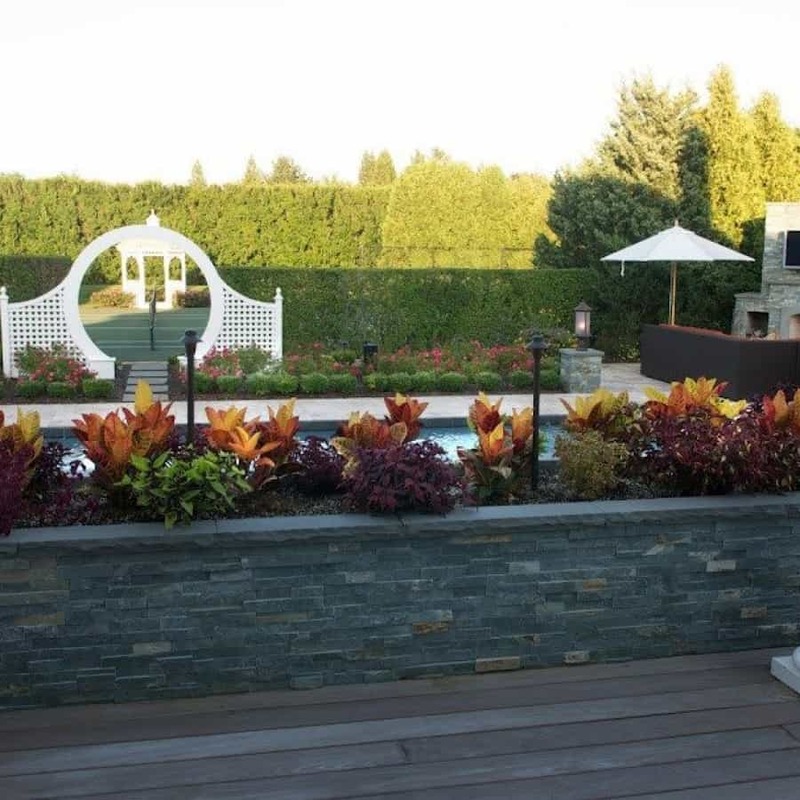 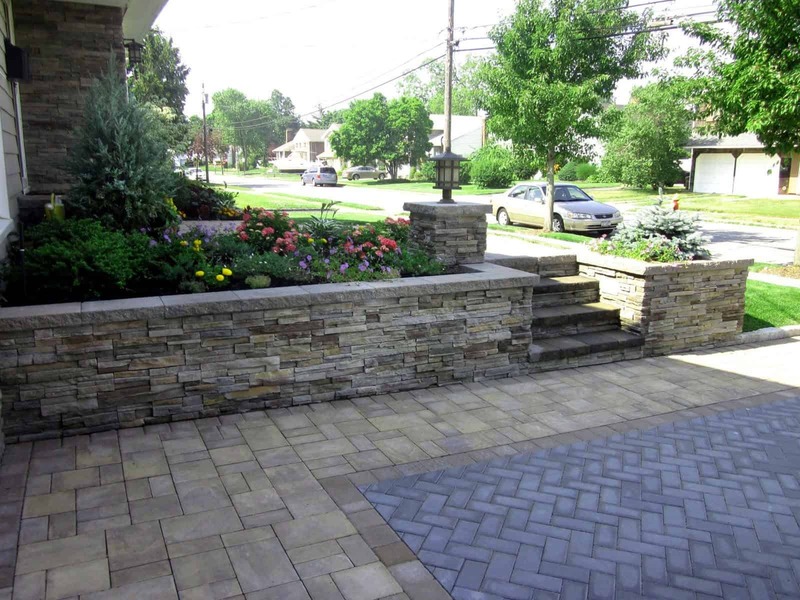 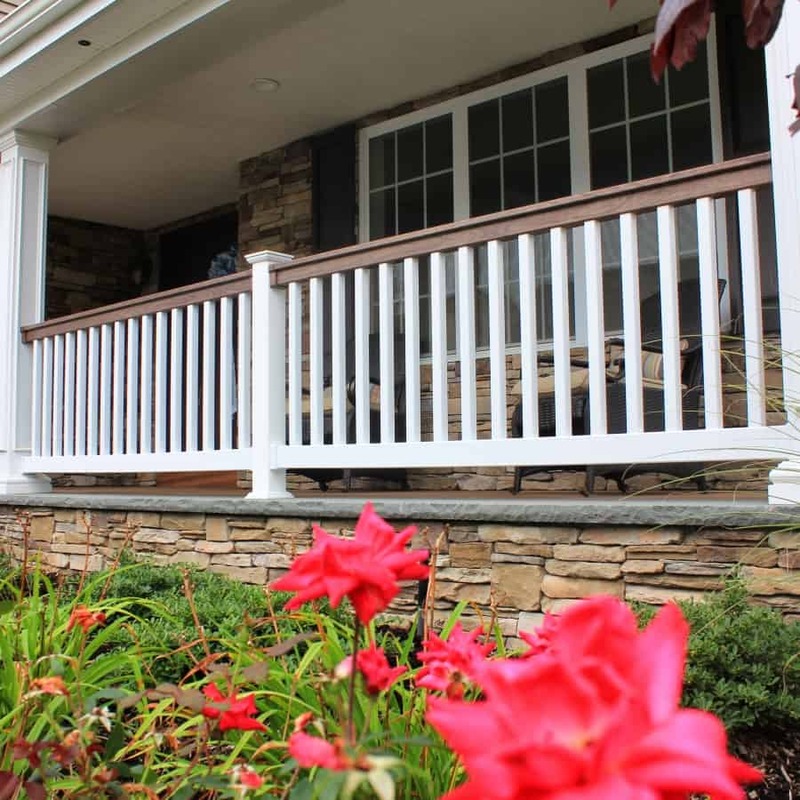 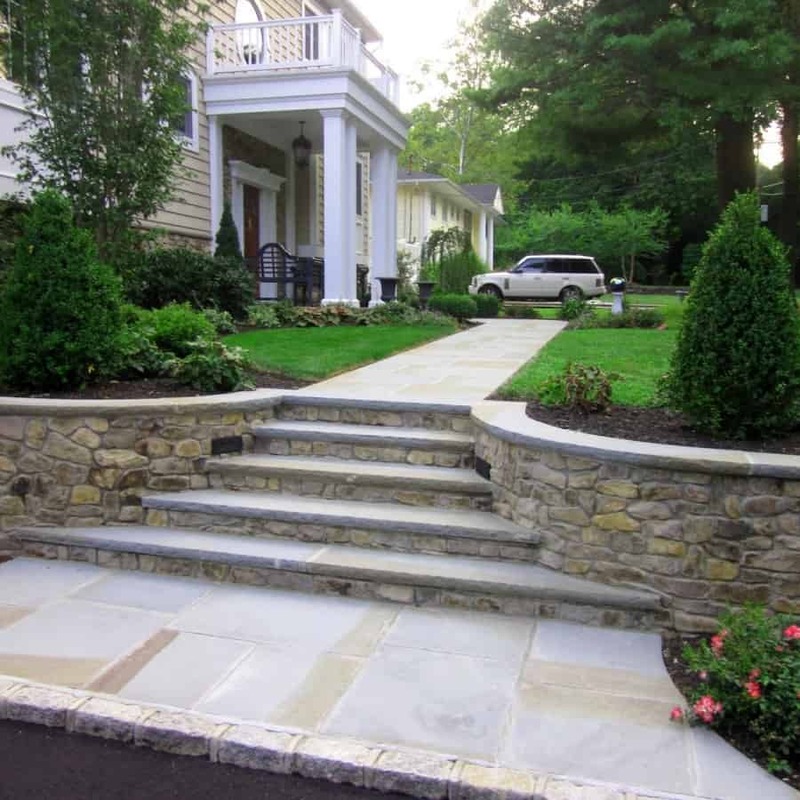 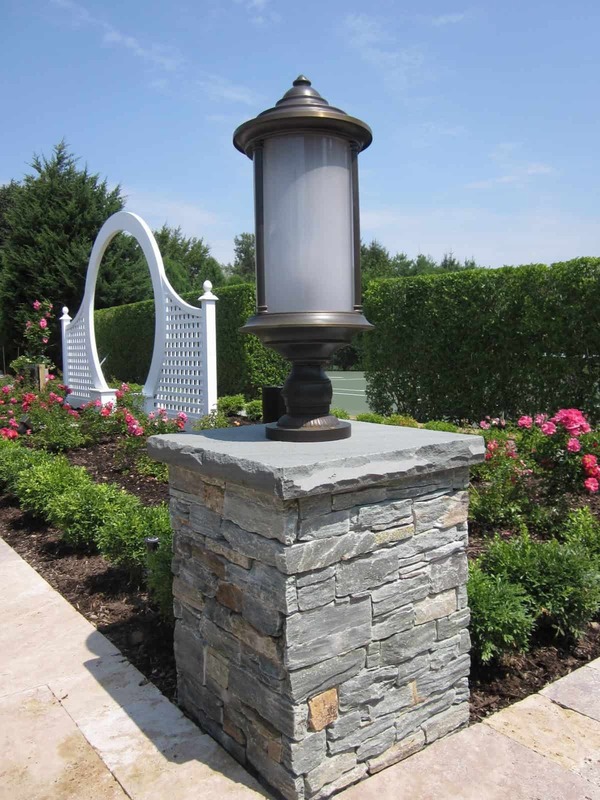 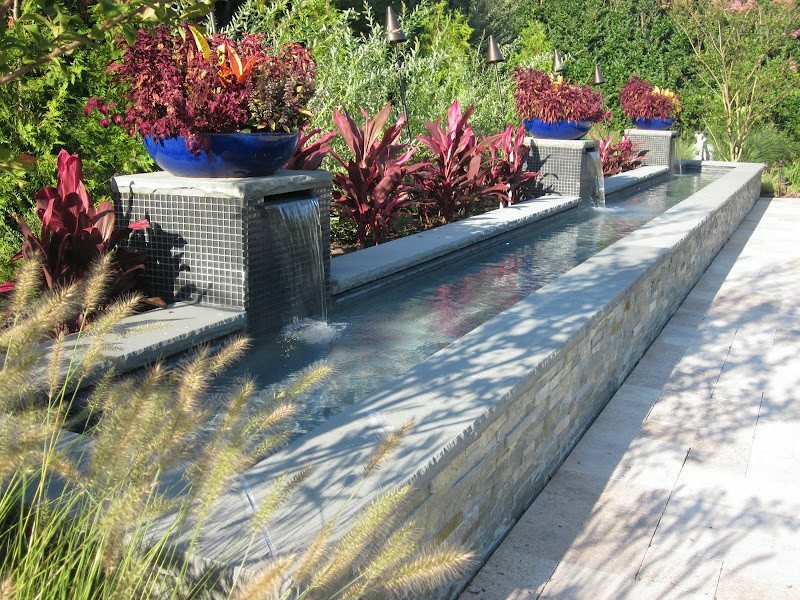 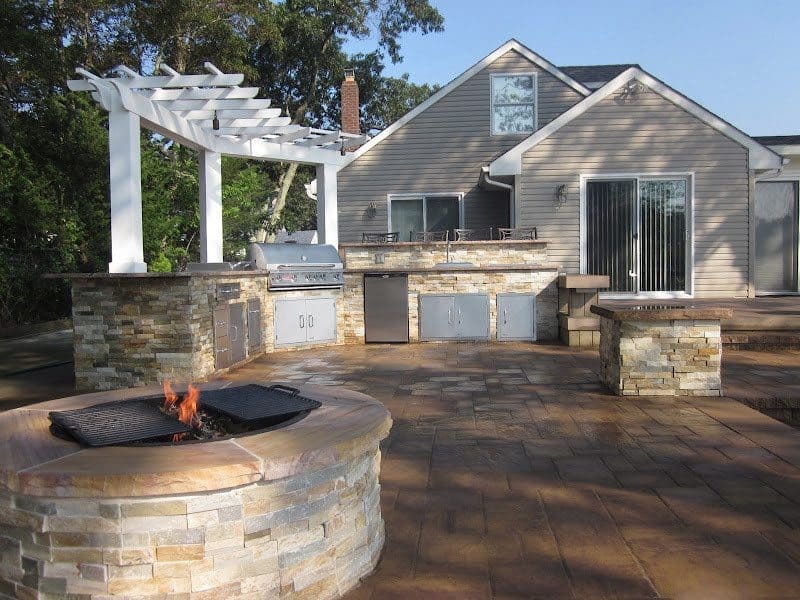 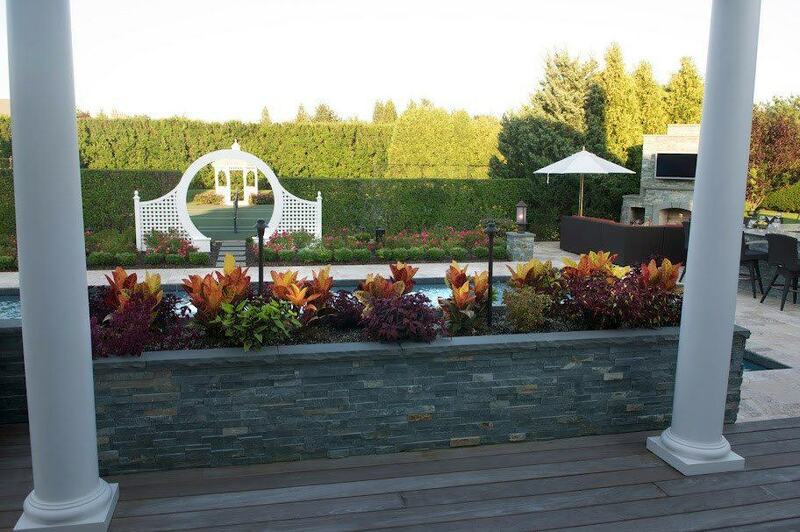 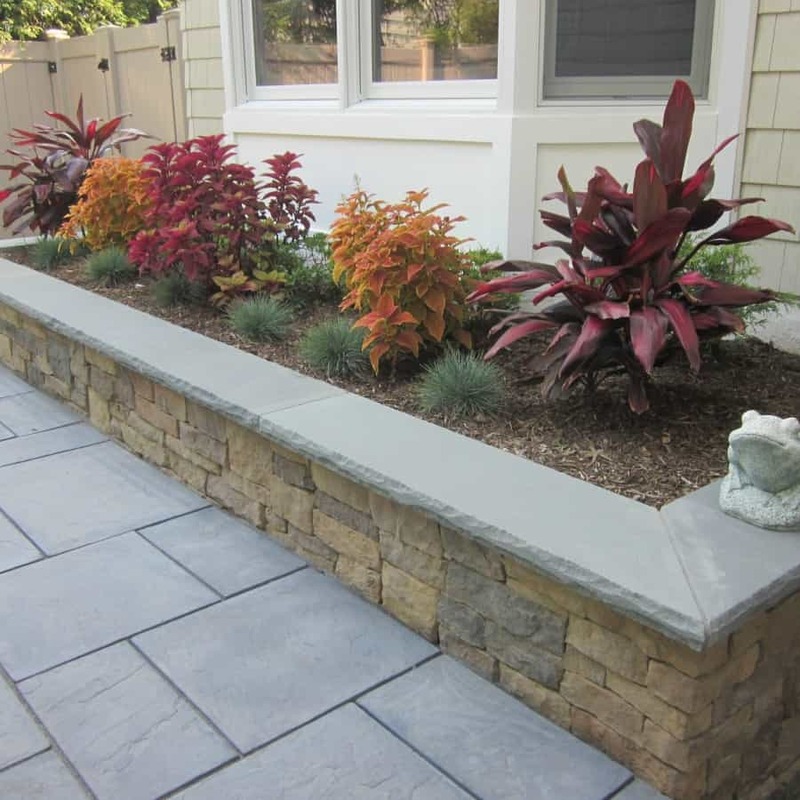 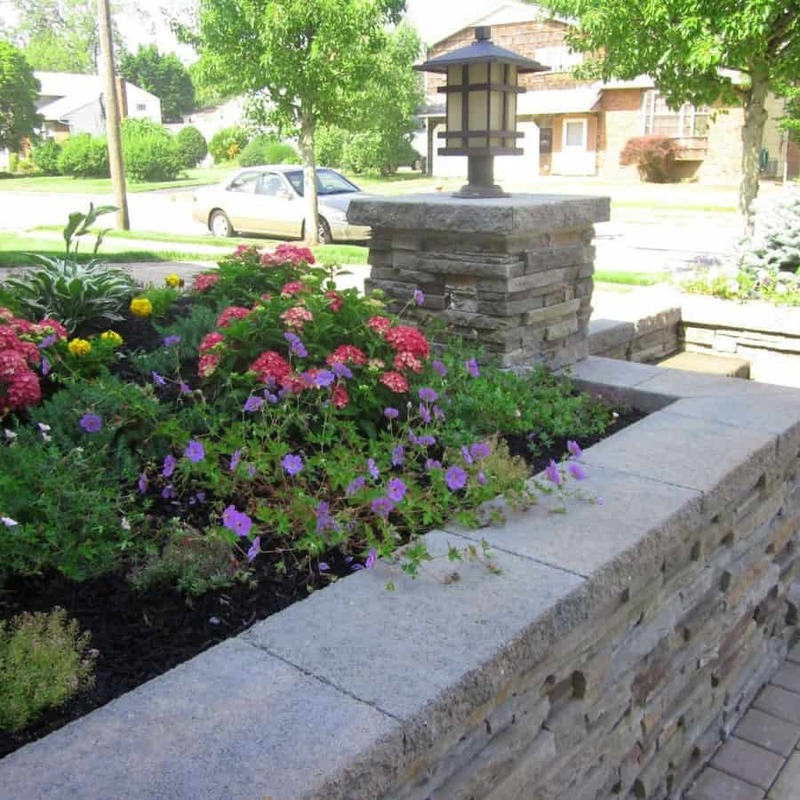 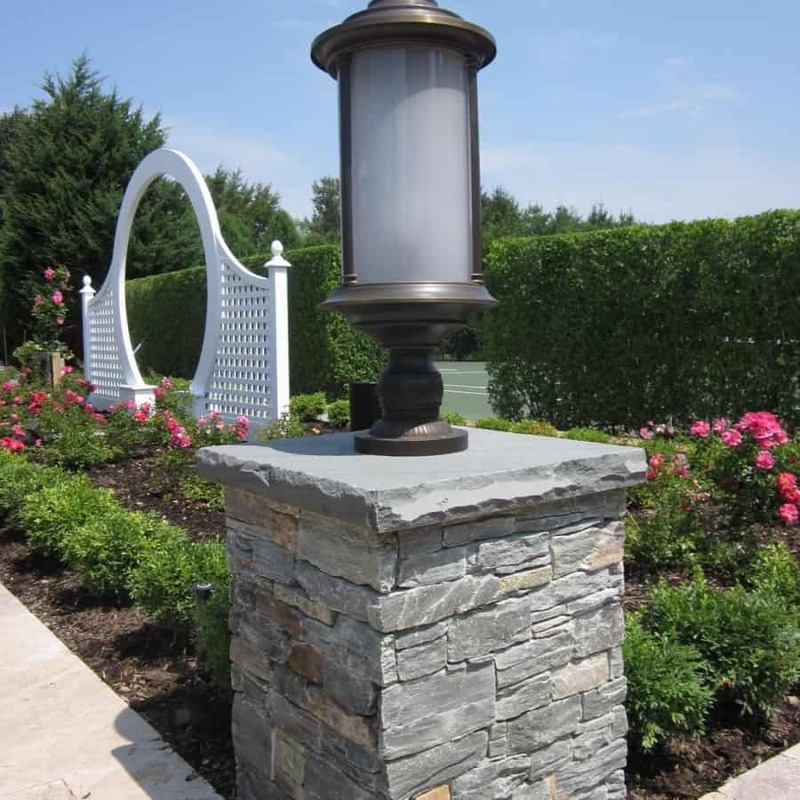 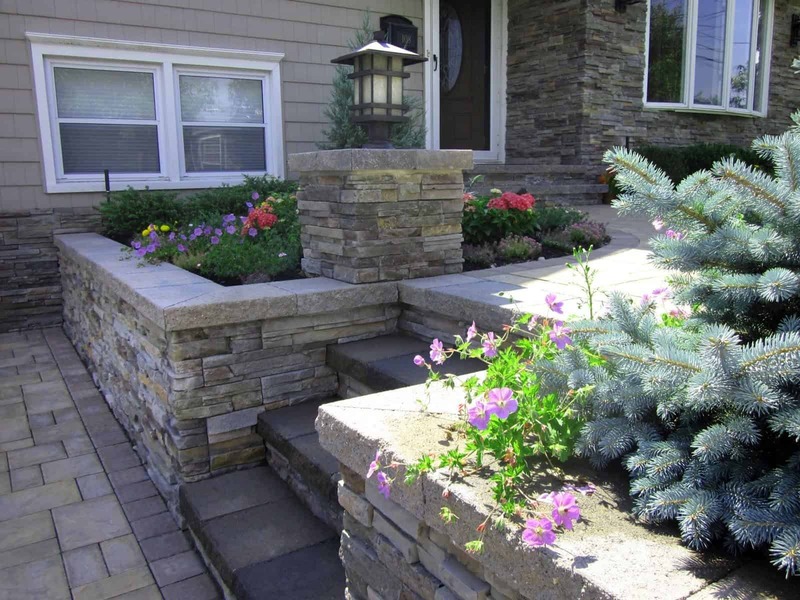 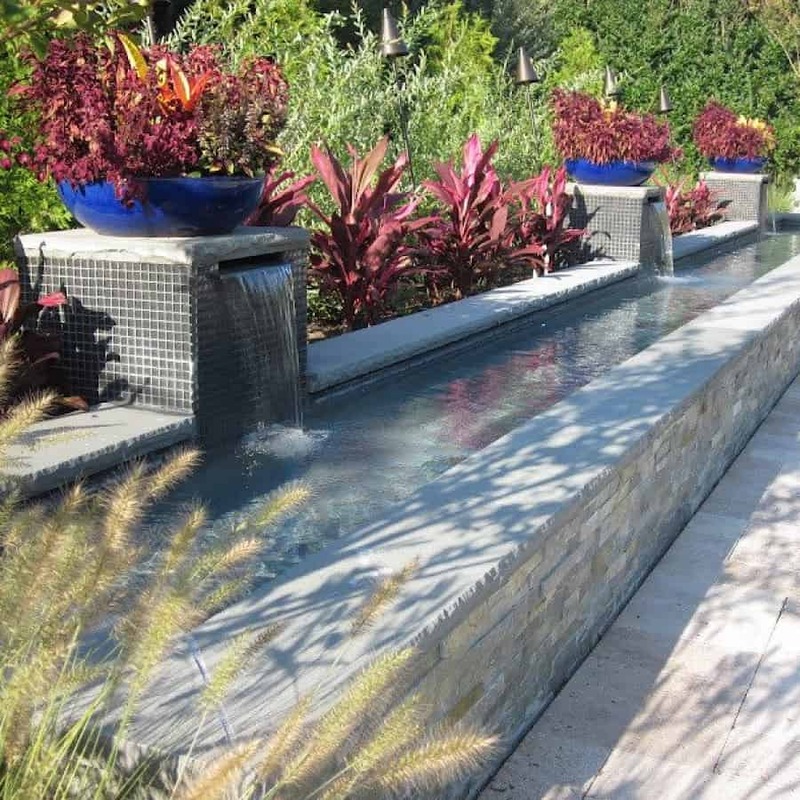 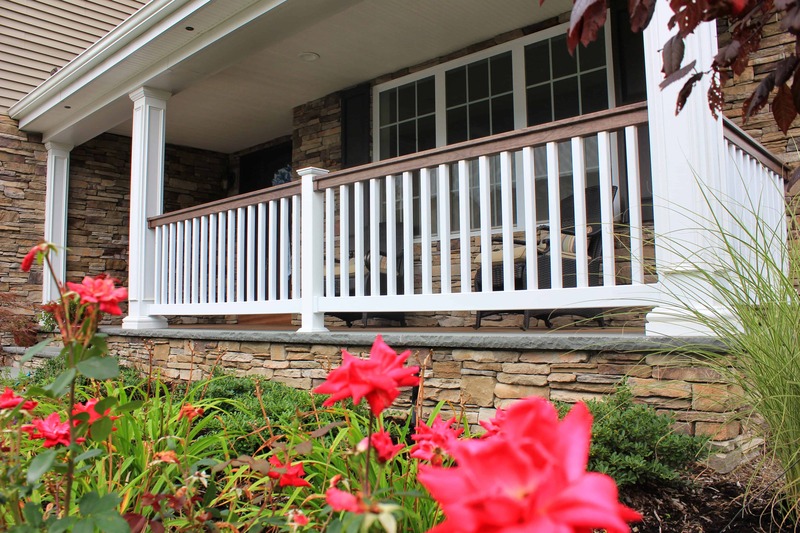 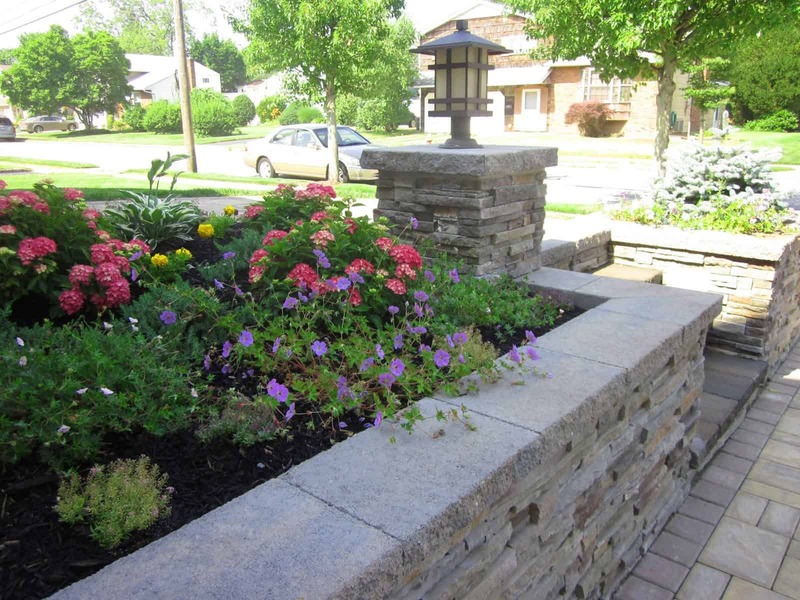 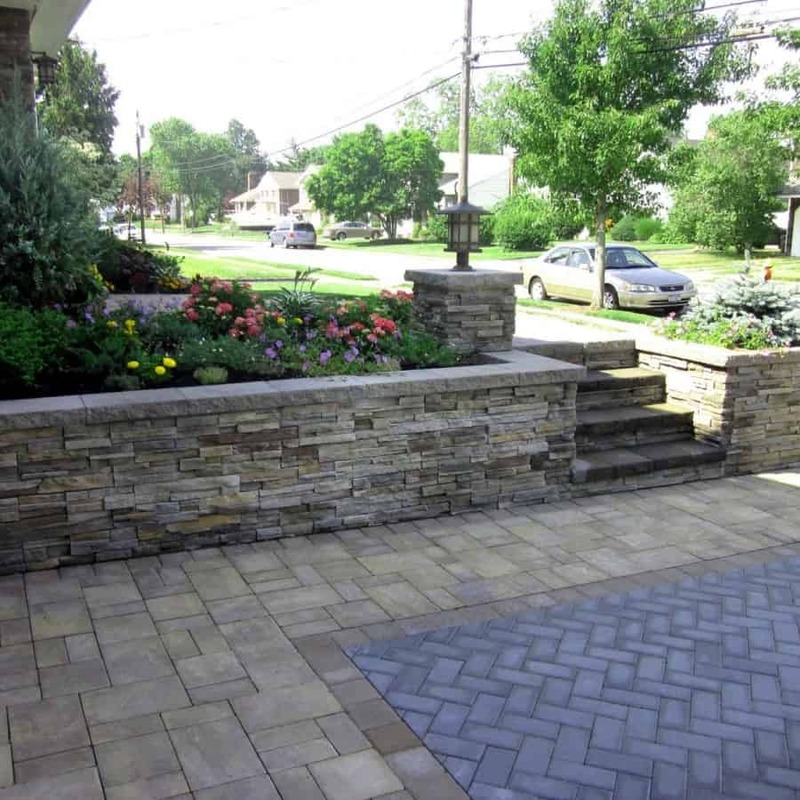 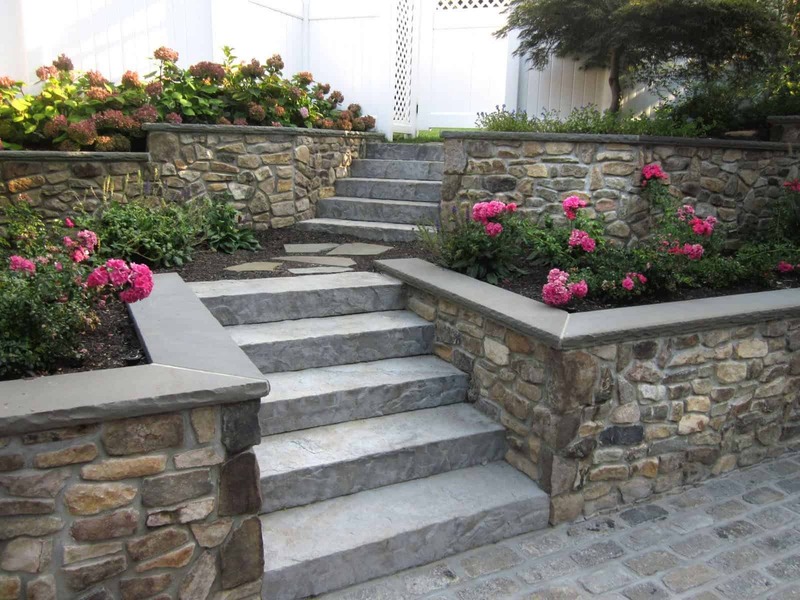 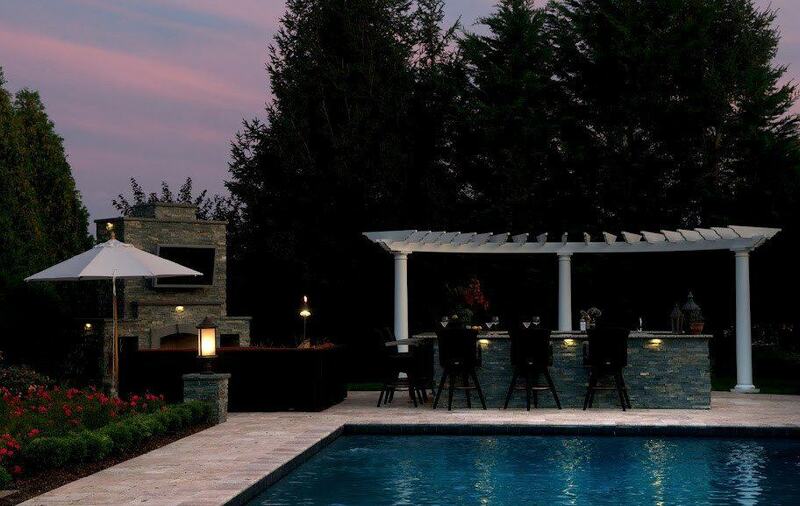 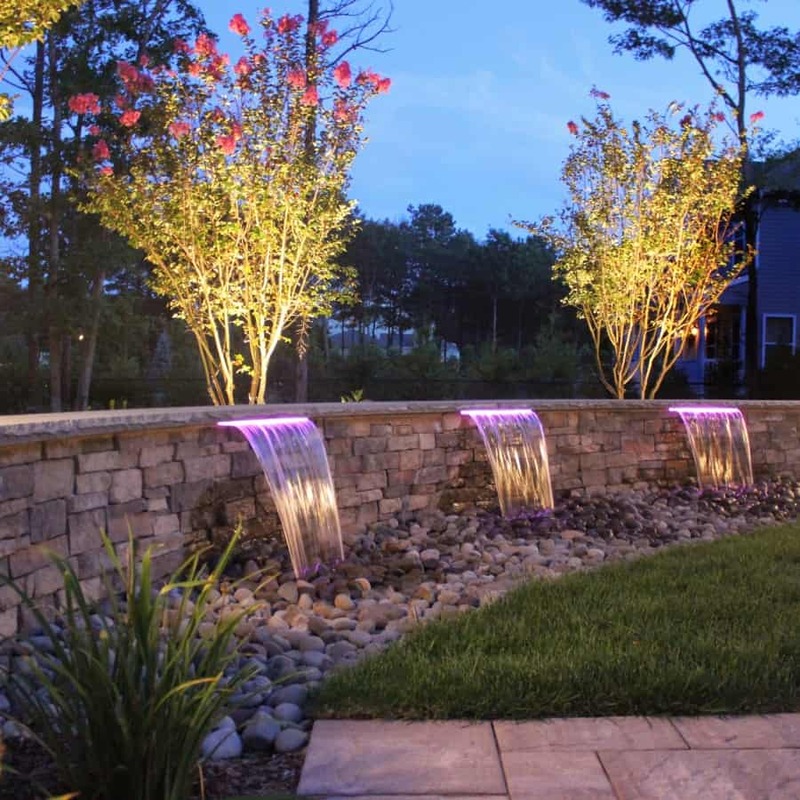 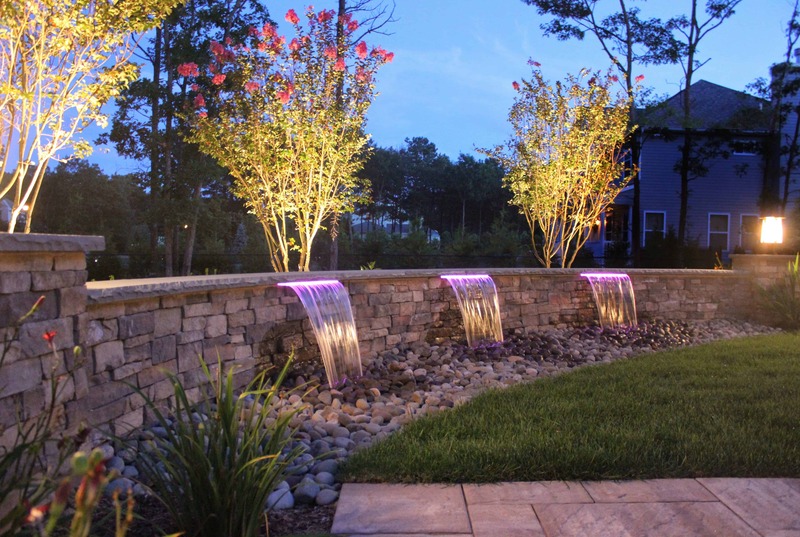 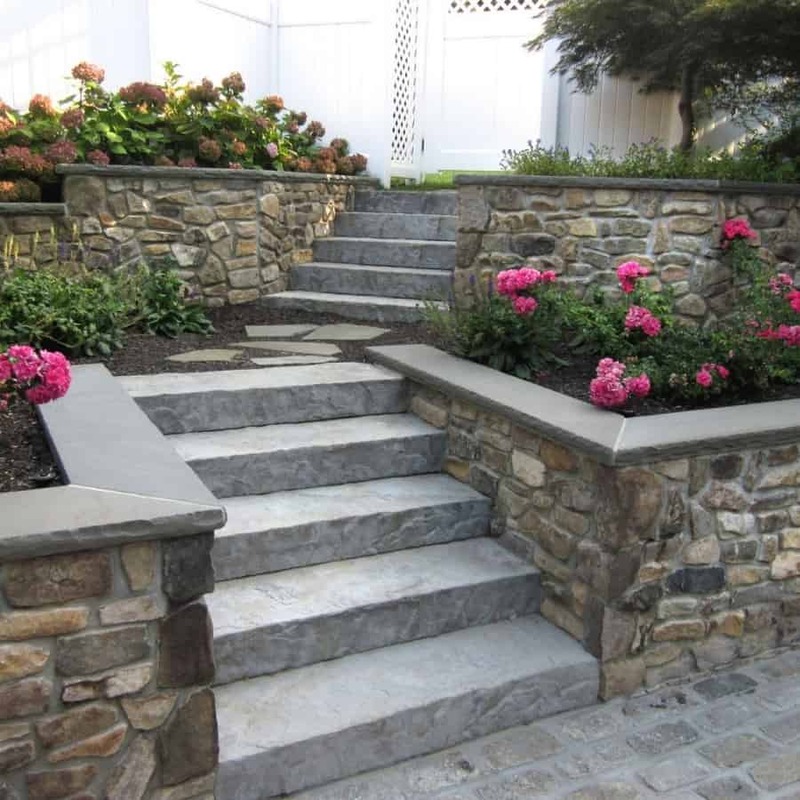 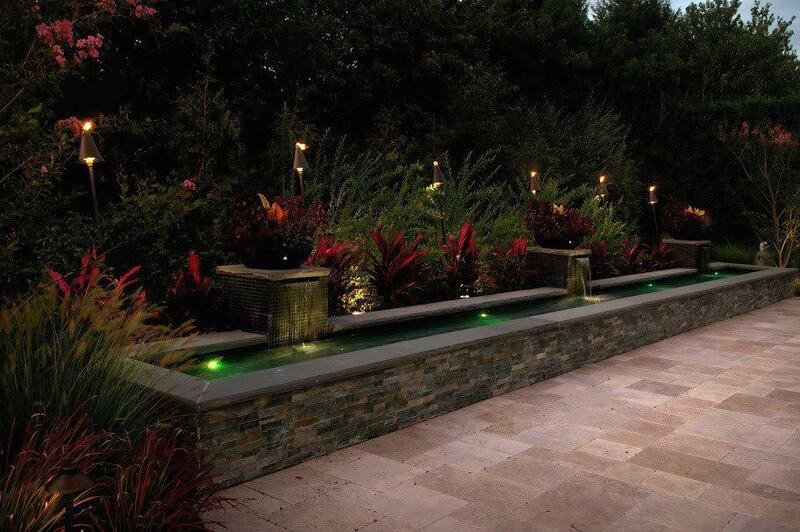 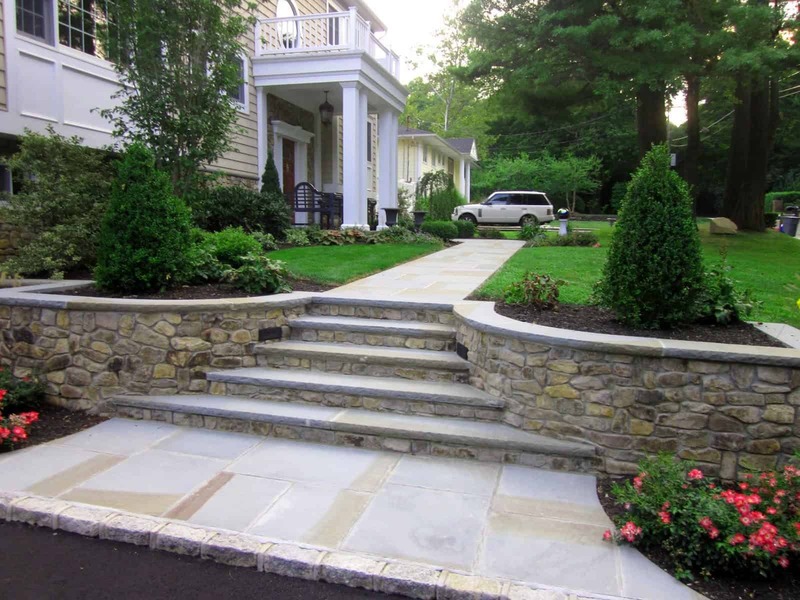 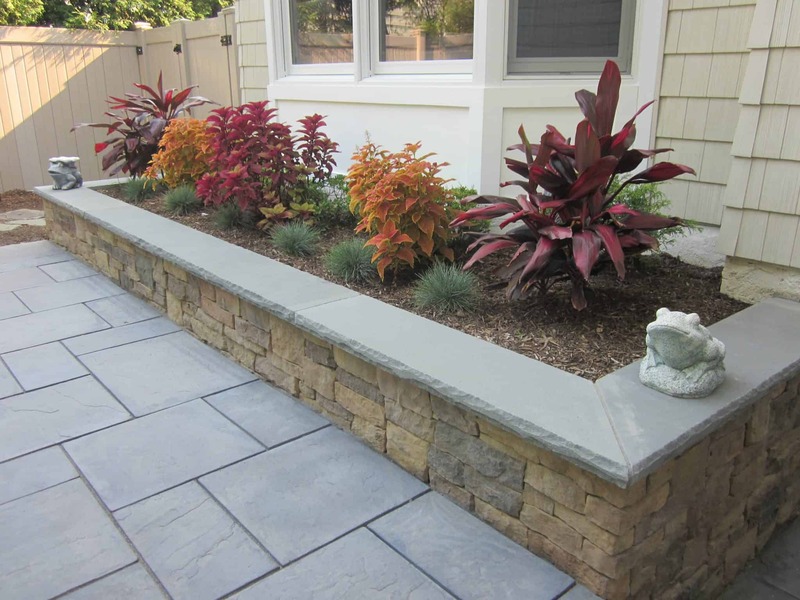 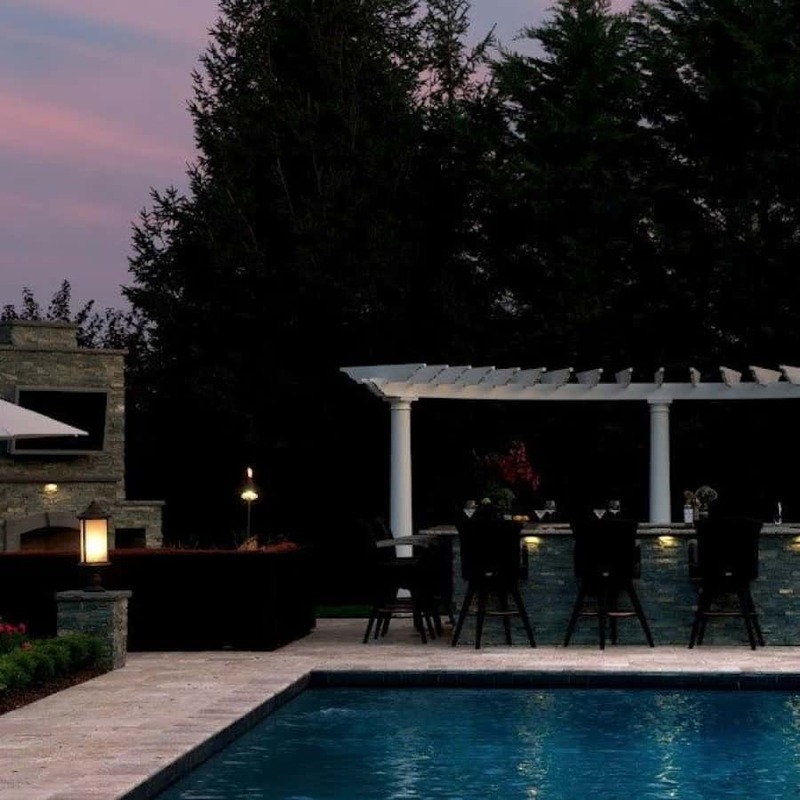 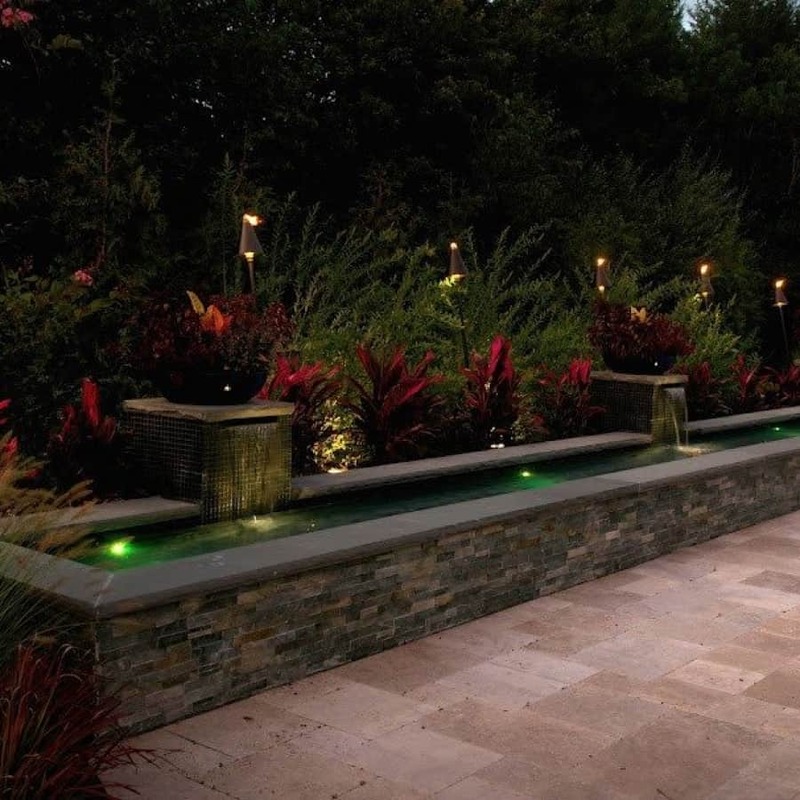 Our landscape designers will incorporate these materials into your landscape design plan and discuss the many benefits, as well as the wide variety of choices available.